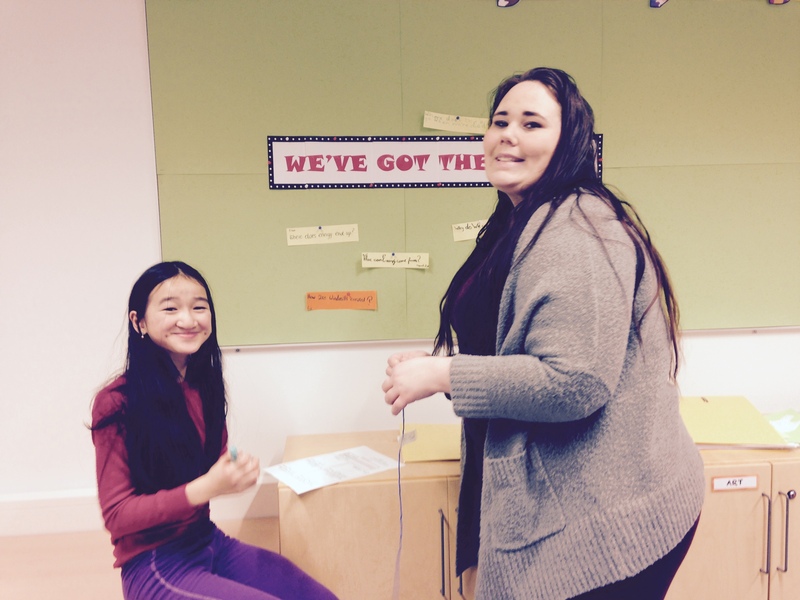 All GIS students complete community and service during Personal Inquiry Time. However, when appropriate, service aspects are also included within subjects. 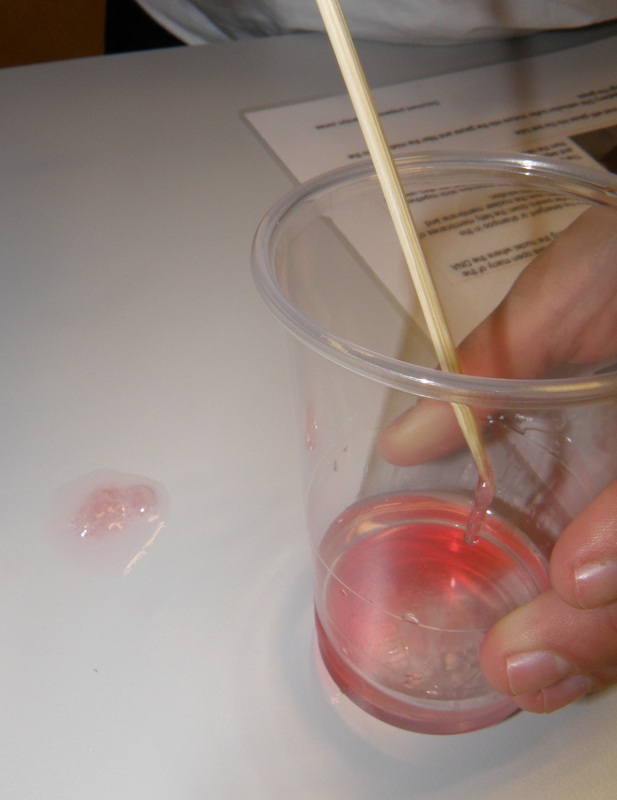 In science, Grade 6 have just completed personal investigations into materials that prevent heat movement. Then they used their findings to design medicine carriers which would help developing countries without refrigeration transport medicine. Some of their carriers will be on display on the table outside the front office this week! Grade One has enjoyed their first few weeks, learning about houses and homes. To launch the unit, students had the opportunity to share their own house with their friends, as they played a guessing game. They tried to match the exterior of the houses with the correct bedroom. 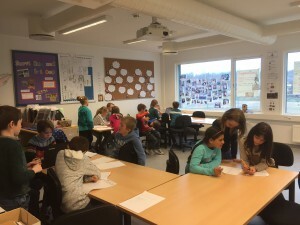 From that activity, students concluded that it is impossible to know which room belongs to which house without prior knowledge. 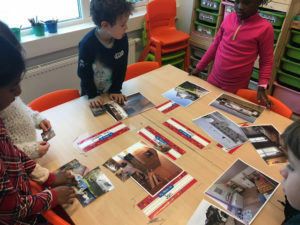 They touched on the idea of what makes a home a home, an area we will explore more later during the unit. 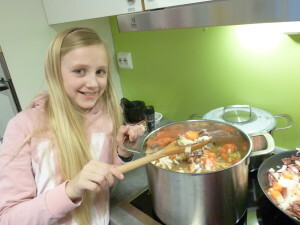 However, students mentioned their family, toys, pictures and pets make their houses homes! 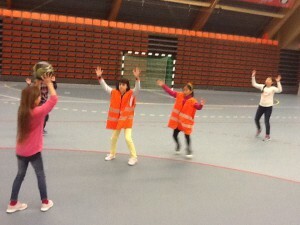 A great visit today to Nammo in Raufoss! We learned about rockets, took time to do some experiments and even had a balloon rocket contest. Many students said this was the “best trip ever”! A huge thank you to our two expert Nammo guides, and to the students for their confident and interesting questions! 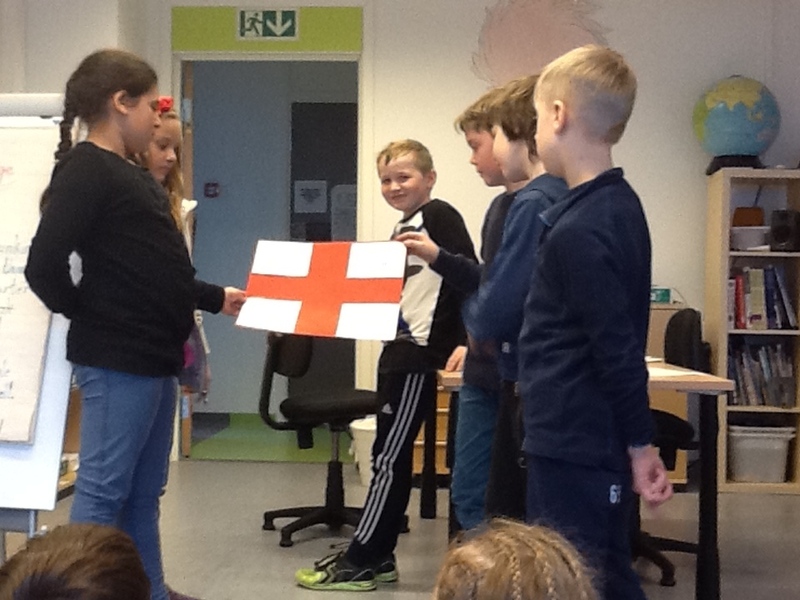 Central Idea: We celebrate special events throughout the world in different ways. 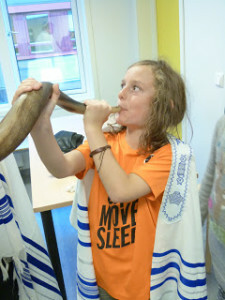 1) Unique characteristics of traditions and special events. 3) Similarities and differences of local and global celebrations locally and globally. Making the most of the international community represented in Grade 1, we were lucky enough to learn about how Christmas is celebrated in Uganda, Australia and Austria! Students had the opportunity to gain insight in new and different traditions, as they travelled to countries far away for a short time. 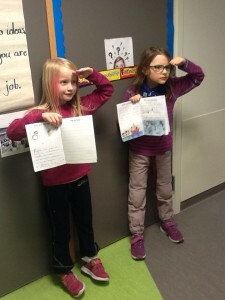 Grade 1 students have become extremely principled when it comes to listening and asking well thought out questions! It is definitely positive news when our guests told us they would be happy to come back. 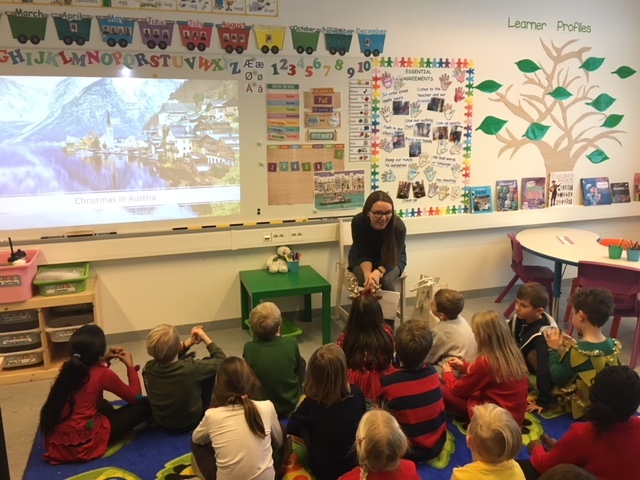 Students are now keen on visiting the Christmas markets in Austria, go to Australia to meet Santa surfing the waves and sing with the children in Uganda! In our unit of inquiry, students were introduced to the visual thinking routine I see, I Think, I Wonder, to help students observe and develop ideas. We practiced with some images from Mexico’s Day of the Dead festival and then looked into the burning of the rainforests and the subsequent destruction of the orangutang habitat in Indonesia in order to grow palm oil. Of course, the students were most excited this week about our addition of a large bin of Lego in the classroom. 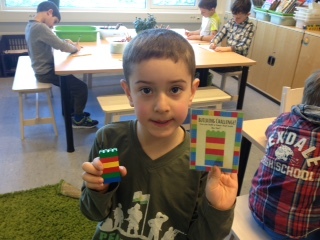 The students look forward to playing with the Lego at the end of the day. What a wonderful way to finish the week! 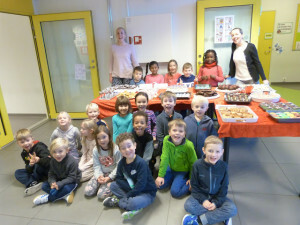 Grade One had a blast selling their mouthwatering baked goods that brought many smiles on a busy Friday. Students managed to raise 1,700NOK! Which Mr Armanski stated is the current bake sale record at GIS! 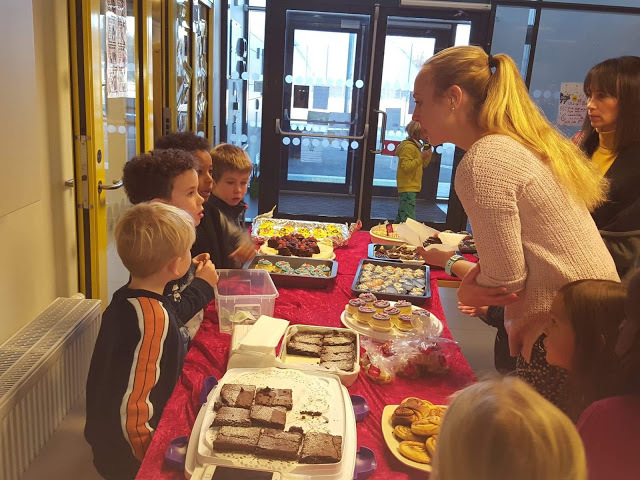 Not only did students demonstrate maturity and integrity during the bake sale on Friday but also in their choice of where the money should go. 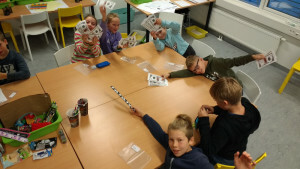 Students voted on the cause, deciding that they can do without a pizza party. They will be sending the money to help Zoja, a little girl born with webbed hands and feet who needs a lot of medical care. 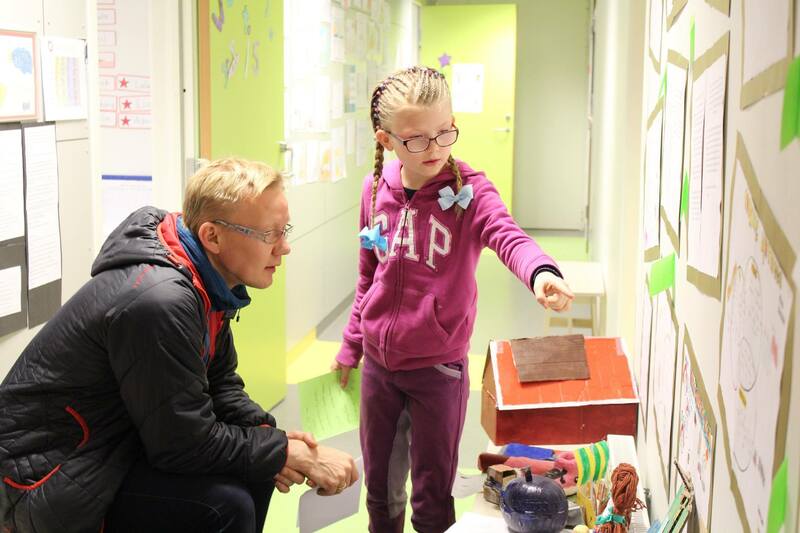 She is from Poland and the treatment available for her is in the States, so we are hoping that with Grade One´s support we can make a small difference to this little girl’s life. If you are interested about the cause click on the link. 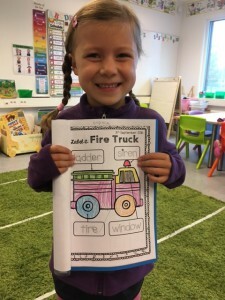 Grade One might have the chance to talk to Zoja’s parents in the coming weeks. Thank you to all of you for your time and effort! 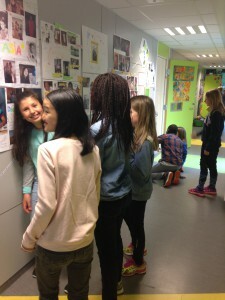 Earlier this week we had the chance to visit Grade 7 and share the TIME CAPSULES they created. They shared with us information and artefacts from ancient civilisations. The class was very excited to see ancient writings and forms of communication. They asked great questions. Working with a partner,we are creating our own alphabet code systems today in art! 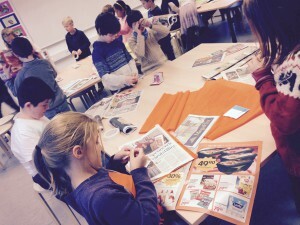 This week, Grade 5 Awesome students were introduced to our classroom economy. This classroom economy will serve as a model on which we can base our discussions comparing and contrasting barter, trade, and commerce – with a hint of fiscal responsibility. Students will be assigned classroom jobs on a weekly basis. At the end of each week, they will be paid in “Toohey Tokens”. 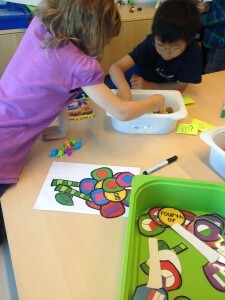 They can, then, use those tokens to buy items from the classroom store. 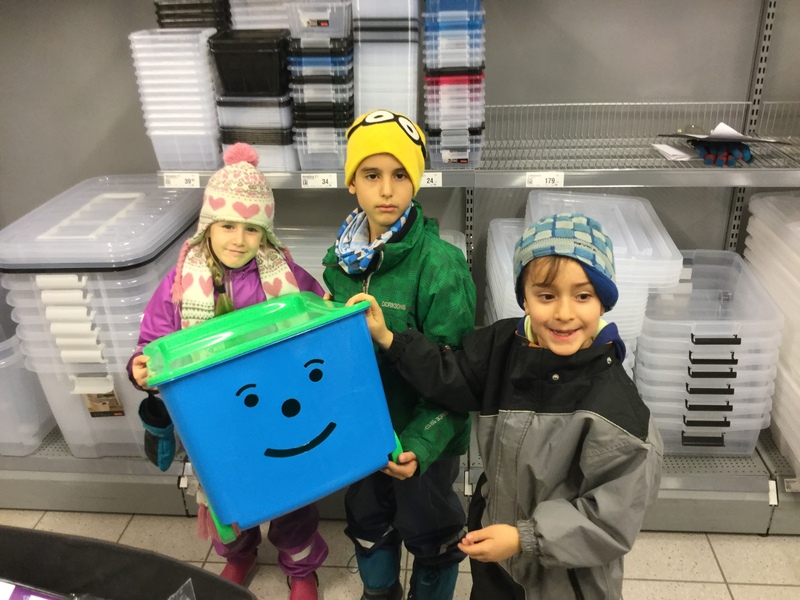 I have stocked the store with items that I purchased while visiting the United States; however, these items will soon be depleted and donated items are always welcome and students will receive bonus cash when they donate items to the store. Last week was an exciting week for us! 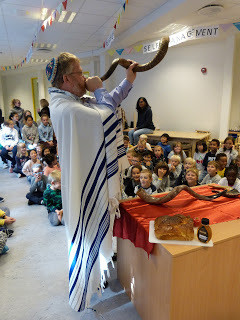 We had a visitor on Monday who taught us how to blow the shofar and we ate apples with honey and challah bread for Jewish New Year. On Wednesday, we celebrated International Chocolate Day and drank hot chocolate. 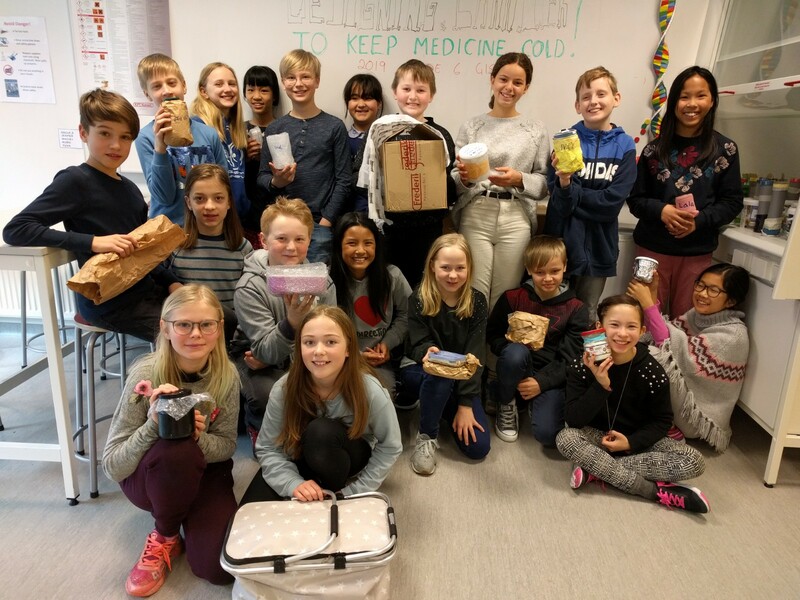 Student Council managed to raise 1500kr! 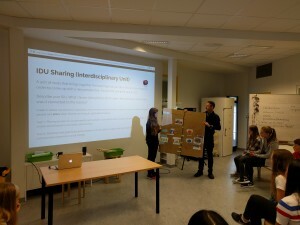 On Friday, Ellen Johansen came to talk to us about people with disabilities and how people’s beliefs about people in wheelchairs affects the way they react to them. Numbers, letters and food groups! What a week! So much learning, fun and many new challenges filled the classroom! 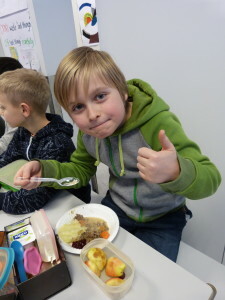 However, Grade One did a fantastic job in keeping their motivation up and remaining positive. They were especially principled and caring in helping Ms Michelotti this week as she lost her voice! 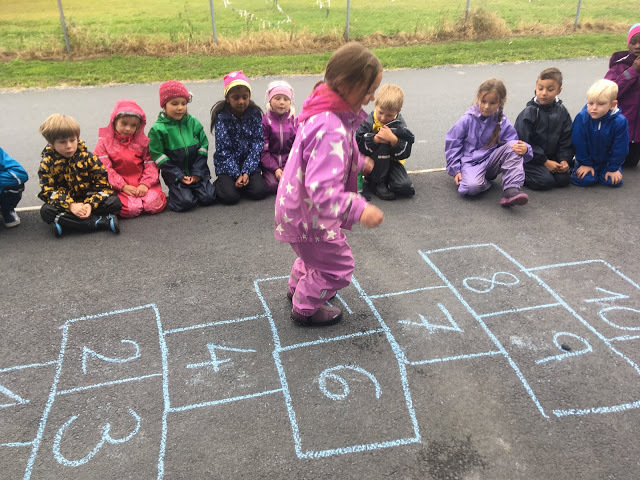 Grade One, enjoyed consolidating their number skills, spending time on counting forwards and backwards whilst enjoying playing hopscotch! 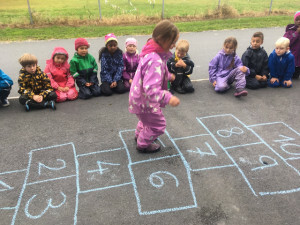 They tested their multitasking skills as they counted, jumped and balanced down the hopscotch course. Interdisciplinary units: a special feature of the IB Middle Years Programme. All IB programmes seek to help students know, understand and use meaningful connections between subjects. 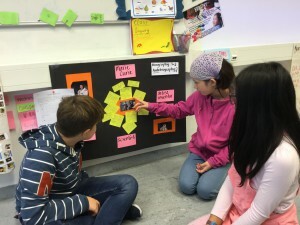 While learning in the PYP is organised using shared transdisciplinary themes of inquiry, in the MYP subjects are taught by many specialised teachers. Therefore, instead, students in every year group must participate in at least one interdisciplinary unit (IDU) every year. The idea is that when disciplines (subjects) interact, special, new understandings will emerge. All of our MYP students have now participated in one of these IDUs. Can you guess which subjects were involved, based on their ‘statements of inquiry’? Global connections. Individuals are connected to the world in a variety of ways. Interactions between people and place show we are living in a globalised society. The expression of our personality and cultures is amplified when musical instruments are crafted to create sound based on scientific relationships. Statistics and graphical representations can be used to analyse and make explicit (clarify) how communities experience social change. 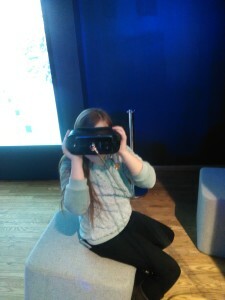 Many students seem to have enjoyed their experience. 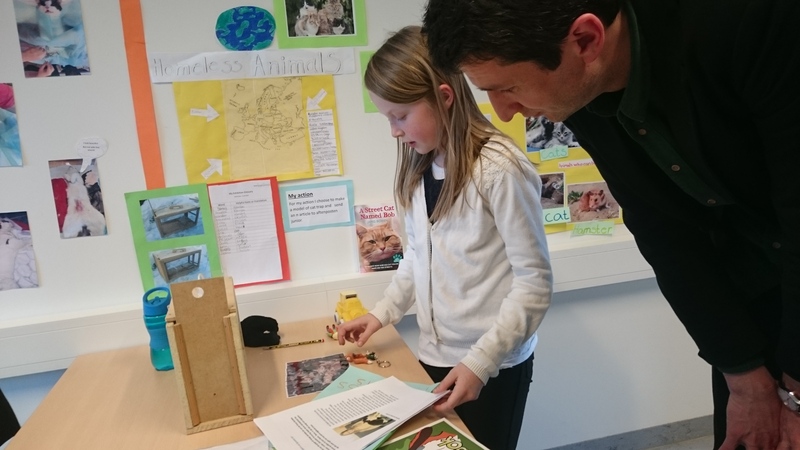 As teachers, who have all been developing our curricula this year, we have also been learning how our subjects can work together in original and meaningful ways. We will grow from this by using what worked well, and changing a few things in the future. 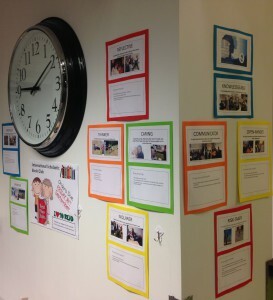 IDUs are assessed using a special, separate written task in which students reflect about their learning experience. Over time, and with practice, this exercise is intended to help students know their own strengths are learners, and develop understanding about how they can transfer their learning in all kinds of different subjects to new situations. And that self-knowledge is very empowering! Those are the three words that come to mind when reflecting on this year’s Student-Led Conferences. 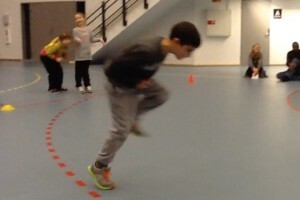 All our students were outstanding examples of what the PYP is all about. 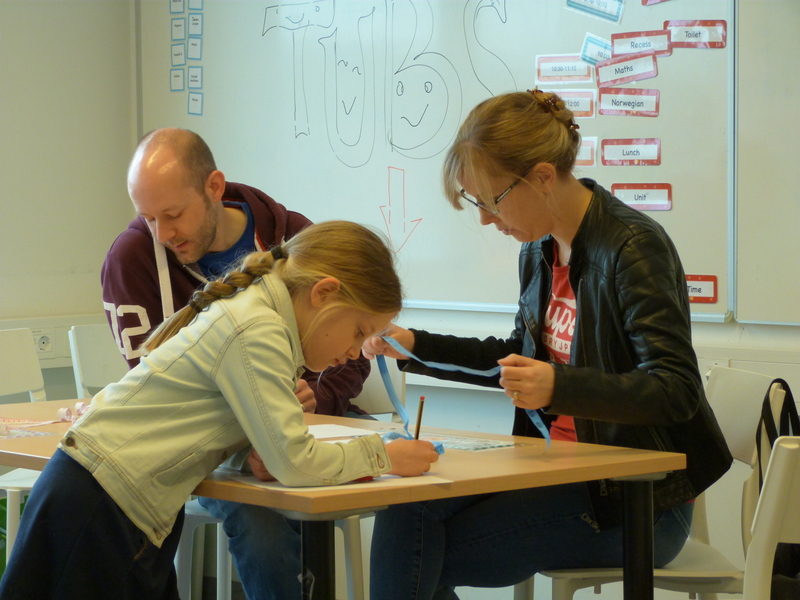 They presented their Portfolios to their parents with confidence, showing that they are developing into outstanding communicators. They were proud of their progress throughout the year as evidenced in the way they shared their portfolios with their parents. 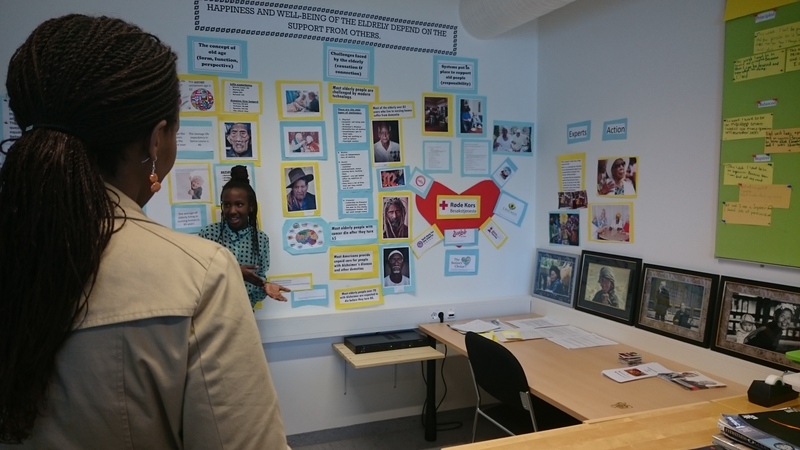 Our students were enthusiastic about showing how passionate they were about their learning. Watching students demonstrate how to blend colours, solve a Maths problem, read a book with expression, dribble a ball with a hockey stick, play a musical instrument, was a proud moment for teachers as we could see how students transferred their learning and put it into practice. Student-Led Conferences are an important assessment in a PYP School. Students are involved in choosing their portfolio samples and reflect on their choices. They meet with their parents and they are in control. This makes students take responsibility for their learning, and they were responsible, taking great pains to educate their parents about how they learn in a PYP school. 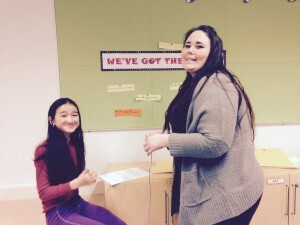 These weren’t just Student-Led Conferences. They were Student-Led Celebrations! 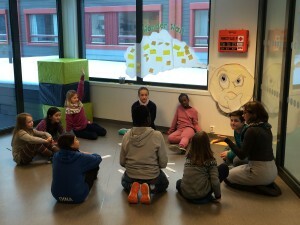 Next Thursday, April 19 is PYP Student- Led Conference day at GIS! For anyone new to this, please note that the format is different from a parent- teacher conference. 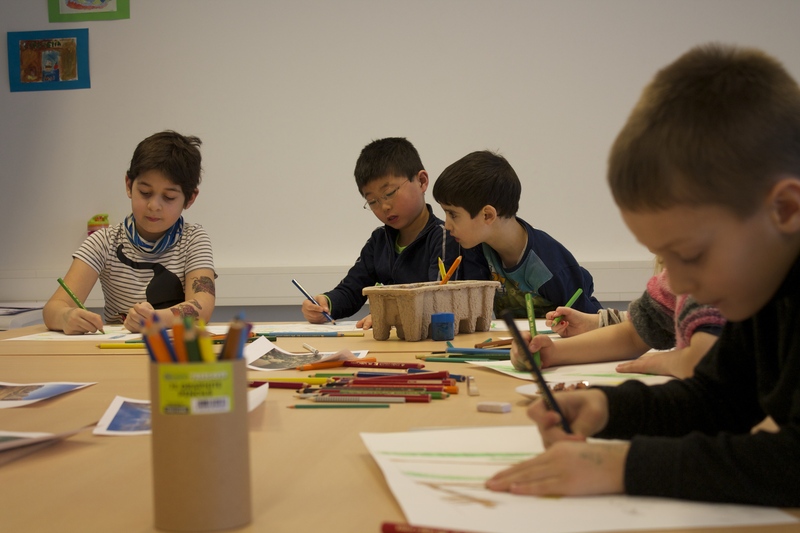 Essentially, it is a scheduled opportunity for you as parents to sit with your child and share a collection of work samples they have gathered in their individual portfolio. This is their moment to share select pieces and experiences that illustrate their personal strengths, areas for improvement and/or things that make them especially proud. As a result of the conference, it is our hope that families will celebrate learning milestones and also take time to create goals and strategies for supporting student growth and improvement. Each child will lead their own 45 minute session, and teachers will be nearby to facilitate if needed. Parent discussion questions will also be available as suggestions, to help stimulate rich dialogue. Currently, all Grade 1-5 students are preparing and practicing for conferences. We decided to celebrate Dr. Seuss’s birthday by inviting students to complete a number of reading-related challenges throughout March. 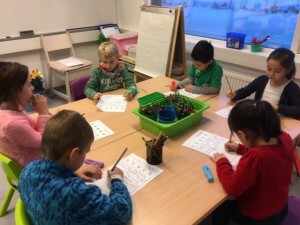 We have started with a “Reading Challenge” where the kids were supposed to complete a Bingo-like sheet with silly Seuss-inspired reading activities like Read out loud, Read upside down, Read under a table, Read to someone small, etc. When a child had 5 in a row in any direction, they could bring their sheet back to the library and receive a free bookmark. 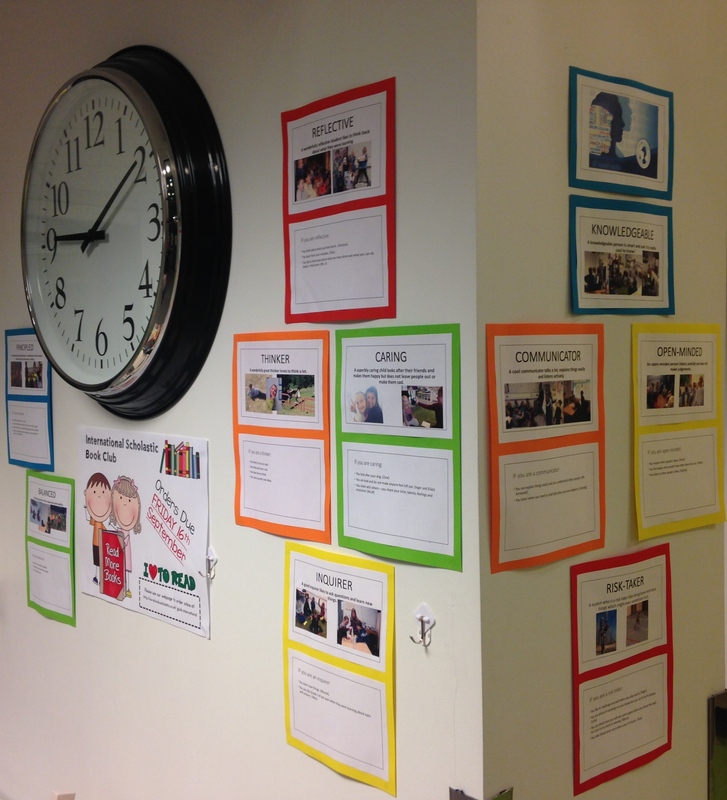 When they completed all of the activities, their picture was added to the Read Wall of Fame outside our GIS Library. We had a lot of motivated students coming back the following day with a finished sheet. 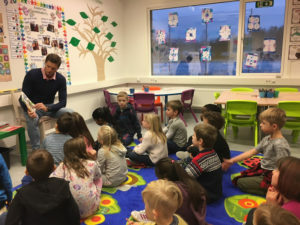 They all said they had had a great time reading in different places or doing different activities. Another activity this month is the “Bookmark Challenge”. 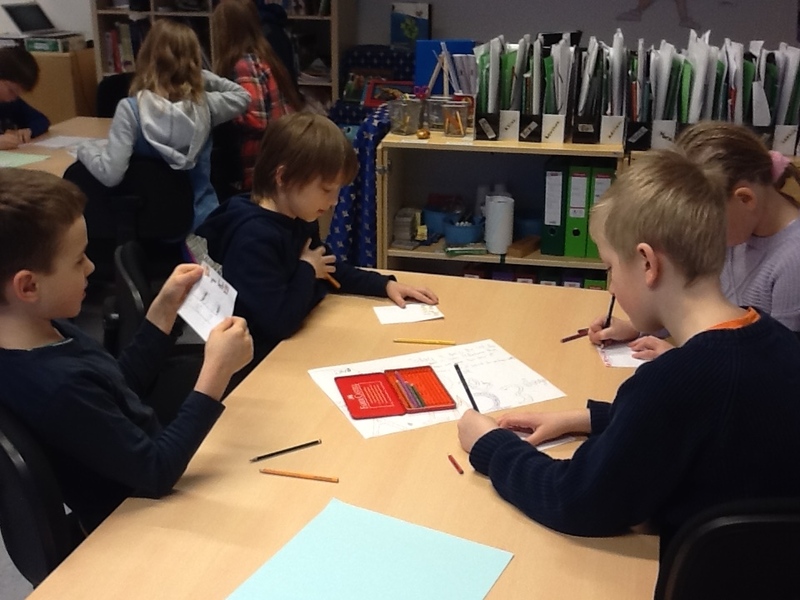 Students were asked to design a bookmark with a book theme, quote or their favourite book characters. Winners will have their bookmark printed for everyone to take home. Although the challenge started only yesterday, we already have some children submitting their ideas. All is number, Pythagoras said. Sound is waves, Vitruvius said. 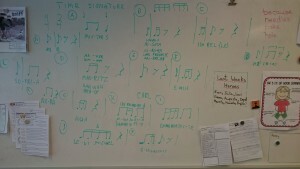 Name is rhythm, Grade 2 concluded after we wrote all our names on the whiteboard. 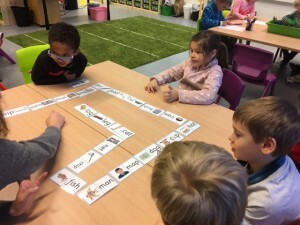 What was meant to be an activity of comparing and grouping different rhythmical patterns from our names turned out to become a rich display of the name variations present in Grade 2. By repeating a name several times in the time signature 2/4 (counting one-and-two-and one-and-two-and) the task was to decide how a name ought to be written according to its significant rhythm. Quite early, it became obvious that this particular class holds many unique name rhythms. Some of the names could even fit into several categories, depending on the individual choice of using one or both names, or alternating the use of them. Carl has an emphasis on Carl: Carl-and-two-and-Carl-and-two and so on. Carl Fredrik has an emphasis on Fredrik, making Carl the anacrusis in this rhythmic pattern: Carl Fredrik-two-Carl Fredrik-two and so forth. The lesson called for applying techniques such as subdivisions of metric patterns, anacrusis and not at least determining the duration of each syllable according to the time signature. 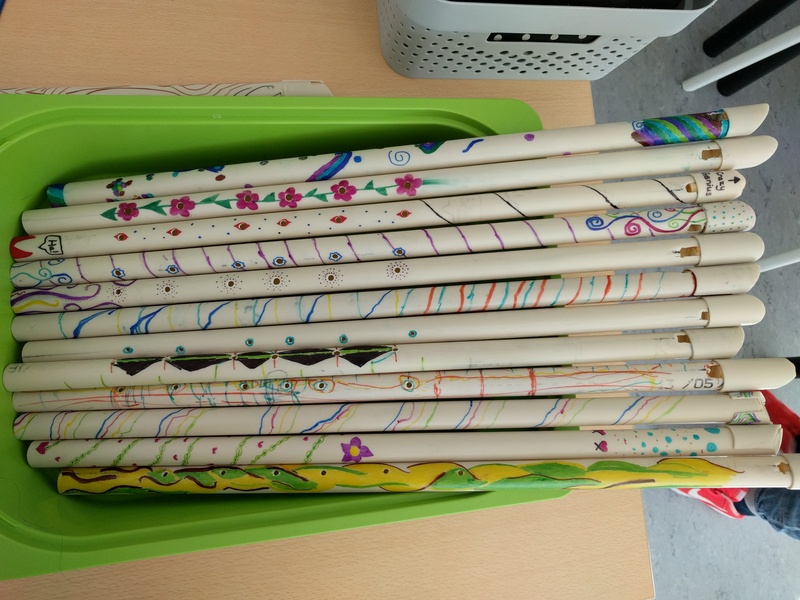 Labelling each variant A, B, C, et cetera, Grade 2 ended up with 15 different rhythms from 23 individuals, assistant and teacher included. We had our laugh of the week as more and more patterns occurred. 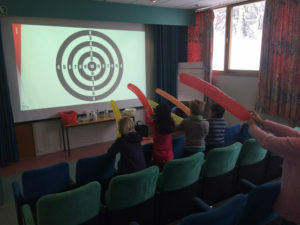 On Tuesday February 20, the Grade 5 class enjoyed a very successful and timely outing to Lillehammer, in support of our current unit of inquiry about “event planning and the current Winter Olympics” to visit the Lysgårdbakken Ski Jumping Arena at the Olympiaparken and the Norwegian Olympic Museum. 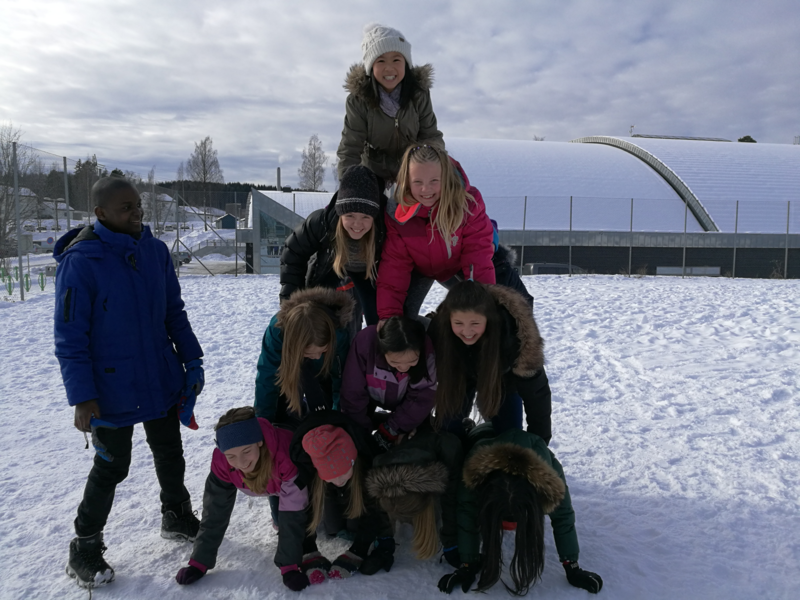 The day began as the whole class walked the outdoor venue to see the 1994 Olympic Flame and and then walked up 500 stairs to the hallway point of the ski jump. 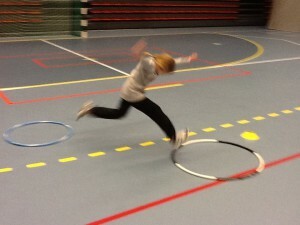 We got first hand views of training athletes and coaches in action. 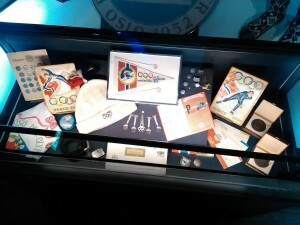 We were able to see over 2 dozen training runs and also interview one of the jumpers about his goals and program. 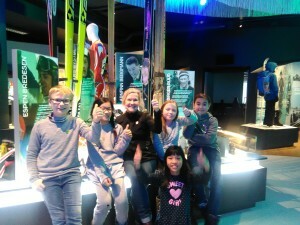 The afternoon was spent at the Olympic Museum. We were graciously greeted, had our own room and space for lunch. We visited all of the exhibits, watched movie footage of historical events, opening ceremonies and even live coverage of the current Pyeongchang Games. 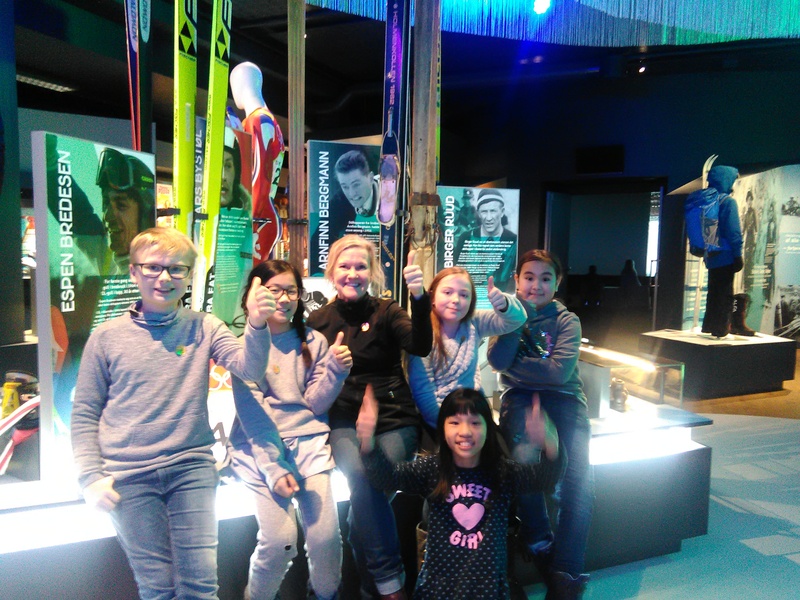 Students say that their favourite highlights include: artefacts like the torches, old wooden skis, medals and clothing; the 3D glasses of a simulating a downhill ski run, the interactive biathlon race track and shooting range, taking photos and taking photos, and, well, the gift shop! On Tuesday we celebrated Sami Day here at GIS. 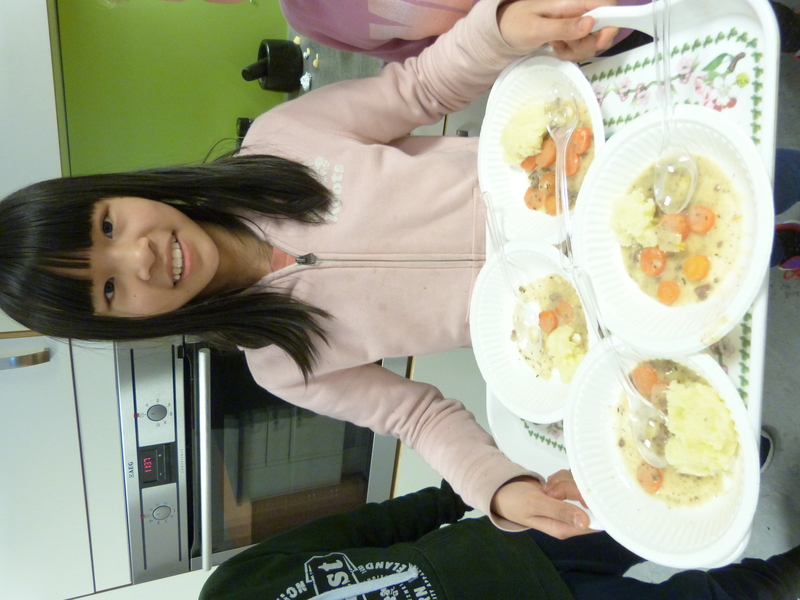 Grade 5 were given the mammoth task of cooking a traditional Sami reindeer stew with mashed potatoes for the whole school to taste. They took on the challenge with impressive positivity, energy and enthusiasm, displaying great communicative and collaborative skills. Needless to say the stew tasted delicious and both pupils and staff enjoyed a great lunchtime feast! 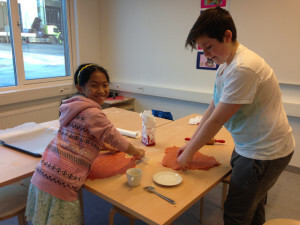 During their Norwegian lessons the students also learned about Sami culture and traditions both on PYP and MYP level. Some of the activities on the day involved creating wall displays, watching a video about Sami lifestyle, learning about Sami people, pronouncing and writing some common phrases and learning about fairy tales and the traditional way of singing, “joik”. Both MYP students and I were eager to put our hands on the new MacBooks, which arrived as an early Christmas present. With this upgrade to our IT system, new doors have opened before us in digital design. Behind these new doors lie new challenges: Nodes and shapes take the scene in the MYP. Grade 6 and 7 students are learning about vector graphics. While our focus is on identity and branding with Logo Design in Grade 6, we are working on marketing and communication in Grade 7 through our Book Cover Design unit. 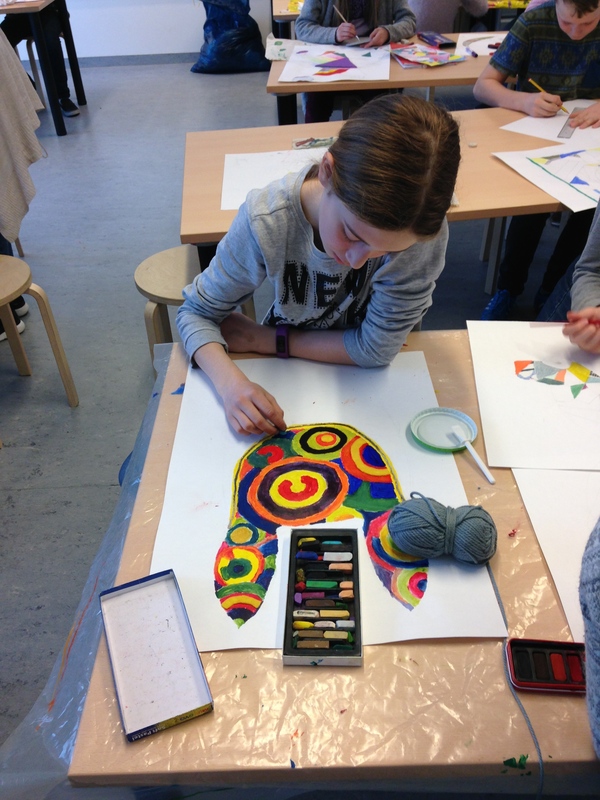 Grade 6 students will develop a complete understanding of the logo design process. And in Grade 7, the saying “Don’t judge a book by its cover” will get a whole new meaning. Grade 8 hit the books. The students will research a successful digital product and explain how it changed the way we live our lives as well as what made the product successful. They will acquire a strong understanding of the need to consider the target audience and how that need can be met successfully as well as why everything is becoming “smart”. All this “groundwork” will become very important in our next unit, where the students will design and create their very own digital story book adventure. I am already excited to see all the logos and book covers. 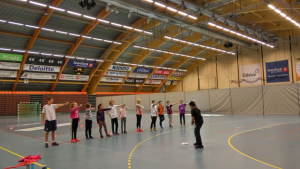 From Golf to Kabaddi, students in the MYP PE classes have been learning about some unique and creative sports. 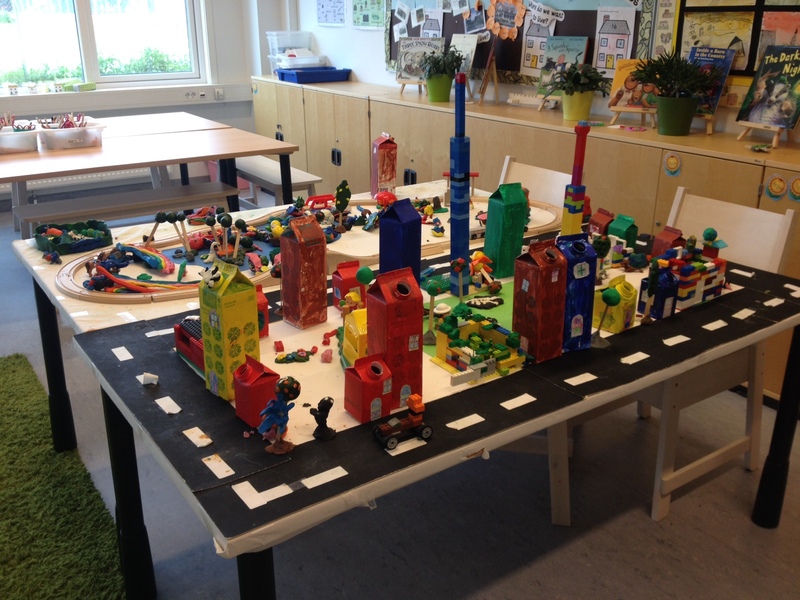 Earlier this year, MYP 2 and 3 students were challenged with creating their own golf course based on the area around the NTNU campus. 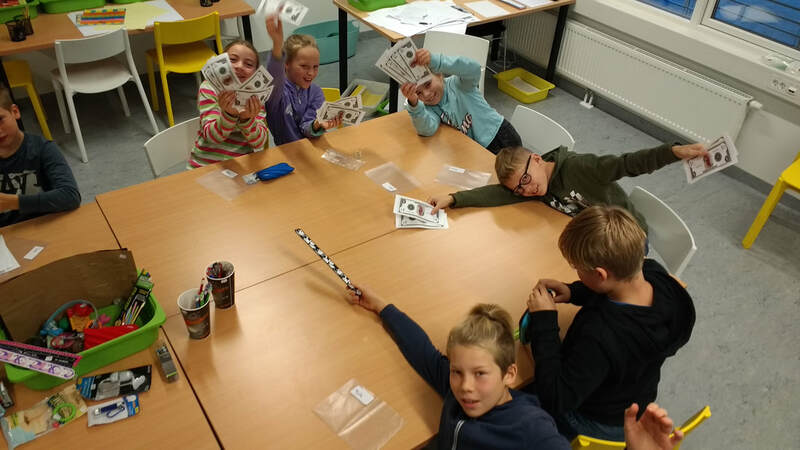 Students learned about the rules and regulations for playing a real game of golf and then applied it to a new and creative way of playing. We had everything from Frisbee golf, to mini-golf and even more creative arrangements such as boot throwing or hockey golf. 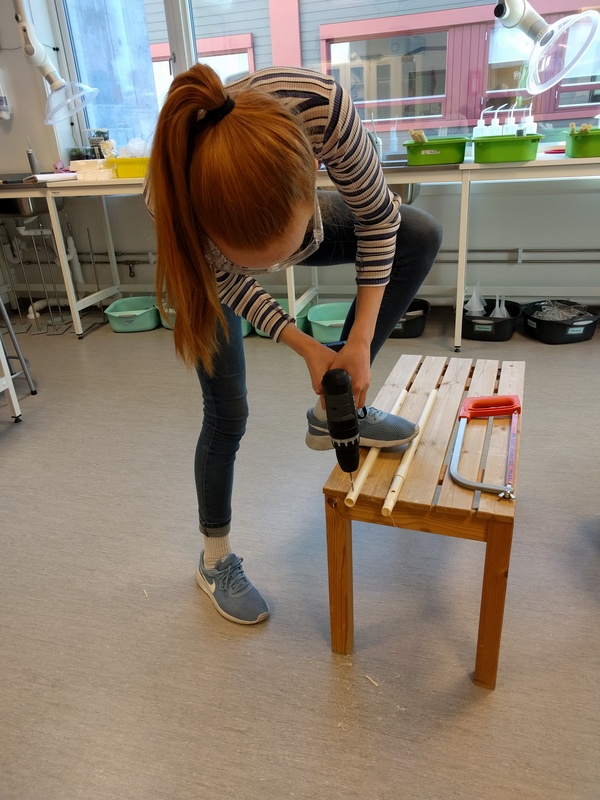 In the MYP 1 class, students have started their warm-up projects where they take a sport of their choice and create a warm-up specific for that sport. Students are encouraged to research professional sport teams and model some warm-up drills as well as target specific muscles that will be used for the sport. Last week we learned about the Tamil Talaivas and the Bengal Tigers, teams that were a part of the national Kabaddi league in India. Students then participated in drills that are also used by teams in India for their training purposes. 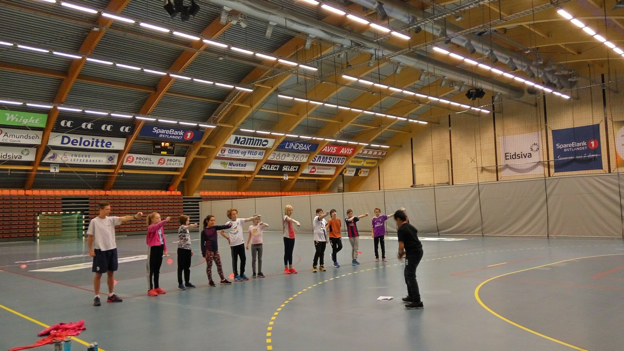 In the past, we have had students demonstrate warm-ups for sports ranging from football and handball to ballet and horse-riding. This year’s group looks to be just as exciting. How do you write a good text? How do you make sure your text answers all the questions it should answer? These questions are an important part of the current unit in Grade 8. All students have chosen a topic under the big umbrella Globalization. After that, they came up with a set of guiding questions, to guide their work along. 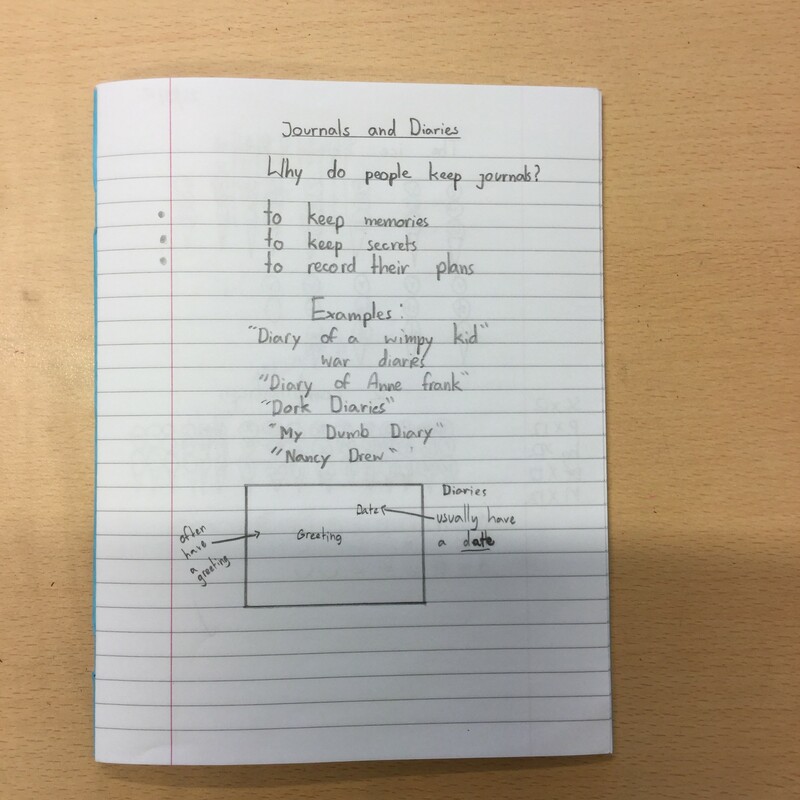 Some students have changed their questions over the course of the unit as a result of their research, which gave them a new direction for their writing. 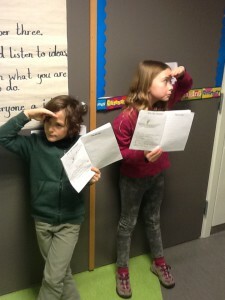 After they finished their guiding questions, they did research and planned their assignments. Over the last weeks, we turned our regular Norwegian lessons into writing workshops, where students write parts of their assignments, and receives feedback when they request it. 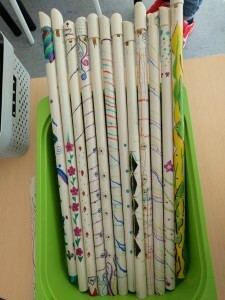 This unit has taught the students different structuring techniques, academic writing skills and time management skills. 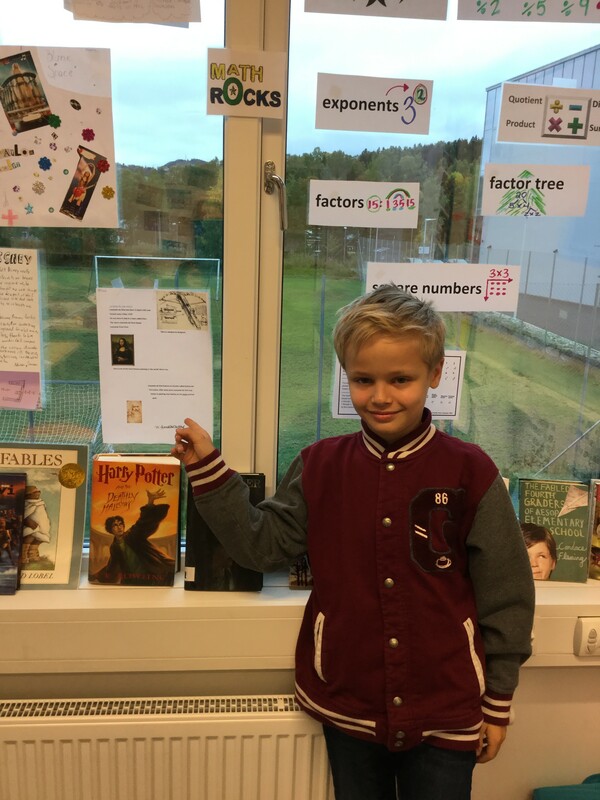 They have also been reminded of the importance of academic honesty and practised using MLA citation style to structure their sources and in text citations. 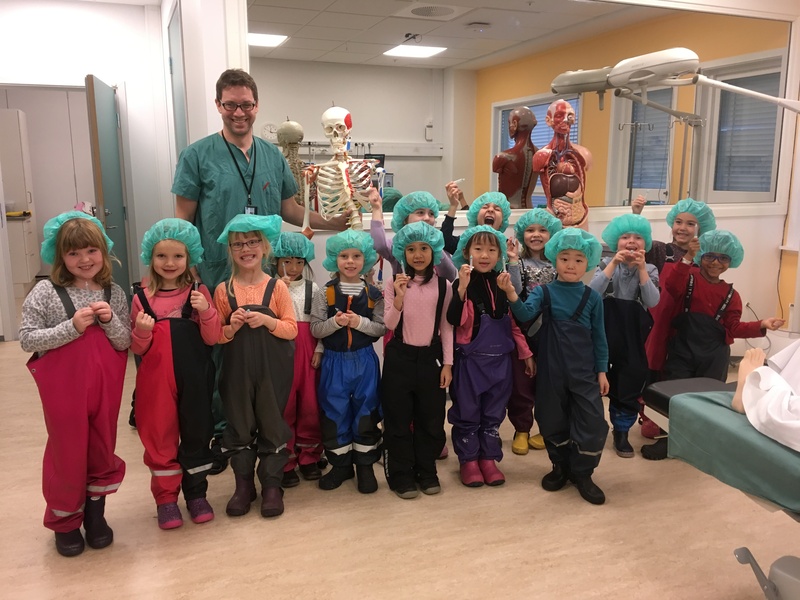 From learning about farmers and spending a fun-filled day at the farm, Grade One moved on to inquiring about doctors and nurses and their role in the community. Nurses and doctors help people. Doctors help people who are sick. The doctor helped my brother when he broke his leg. A doctor helps me to be healthy. He has a mask. 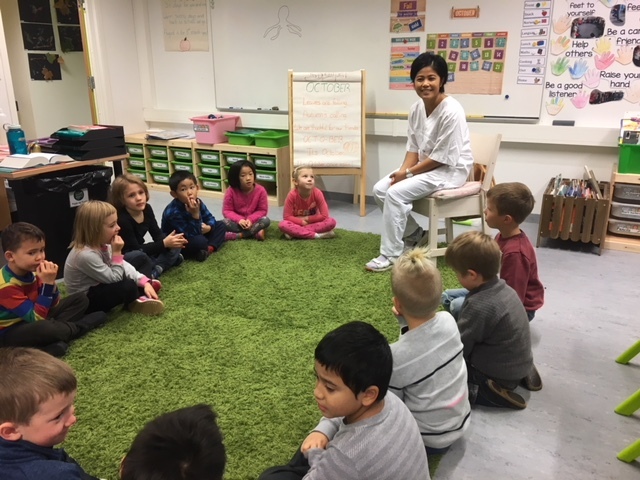 This week Grade One had the chance to listen to and learn from a nurse. Another big thank you for providing the students with such a great learning opportunity. They got to see the tools that a nurse needs everyday to do his/her job and test them out as well as ask her questions. There are a few aspiring nurses in Grade One! The following photos reflect some of the progression of our first unit of inquiry, which falls under the transdisciplinary theme of How we express ourselves. 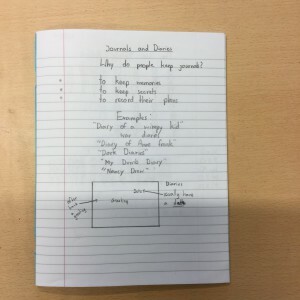 Guided by the central idea “Throughout time people have used various methods of recording thoughts and ideas and sharing their personal stories” we have been exploring examples of journals and diaries in history and literature, and made many connections to famous biographies and autobiographies. Fifth graders have been busy reading articles, researching individuals of personal interest and writing journals from different perspectives. 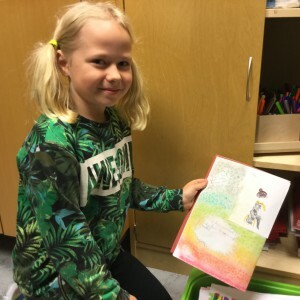 Because this first unit has significant language content, we recognize that not all students in our class would be able to articulate their creative thinking and understanding in written form alone. 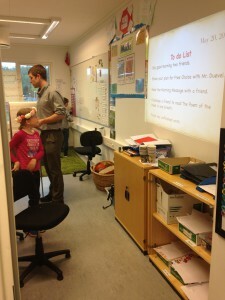 Teachers and assistants help some students articulate their verbal responses, with translation or scribing required in some cases. One great thing about transdisciplinary learning, such as that structured by PYP units of inquiry, is the conversations and broader connections that are made with single subject specialists in planning meetings. 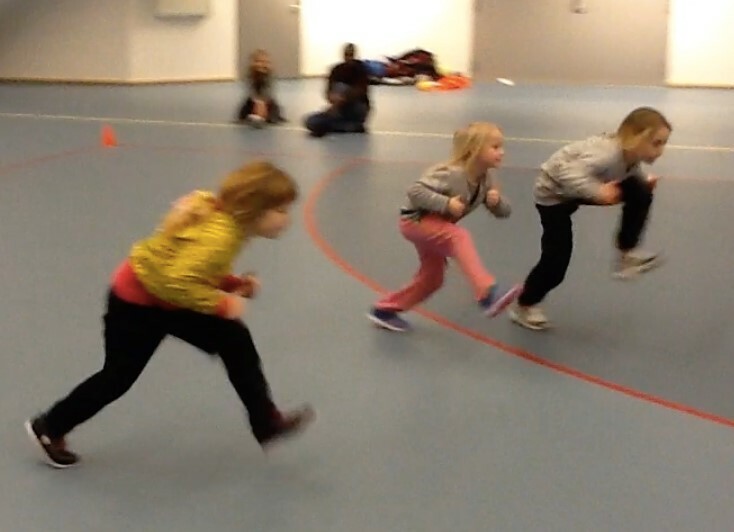 While there is no pressure to ensure that PE, Art, Music and Norwegian teachers “fit in with what happens in class” there is freedom to test out different approaches. When links across the curriculum appear as significant and highly relevant for the learning, exciting things happen. Various disciplines inform one unit of study, to provide multiple pathways for students to explore ideas and express their understandings. 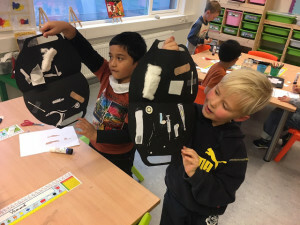 In this first unit, such connections were made between homeroom and art and design technology classes. To extend the thinking about journals and diaries, the students explored different examples of scrap books in visual art class. 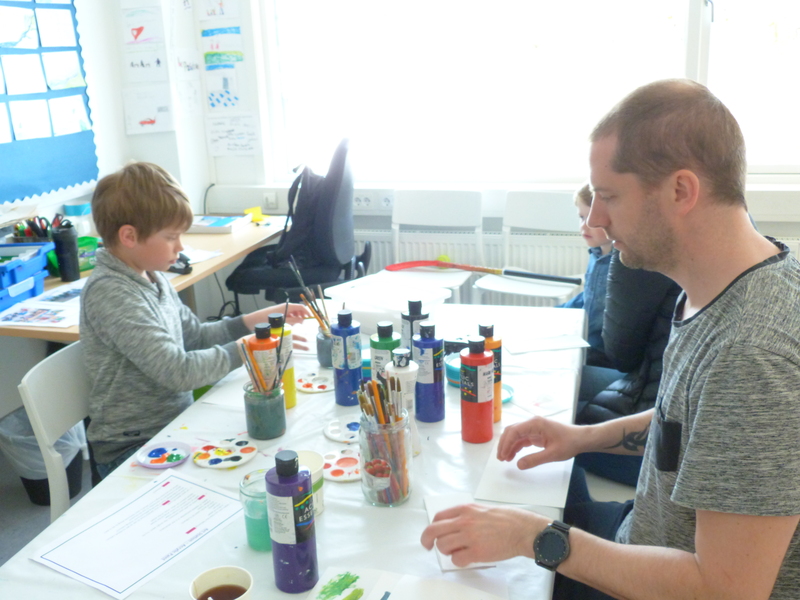 They used different techniques and media to communicate and reflect on aspects of their week and quickly became very proud of their artwork. 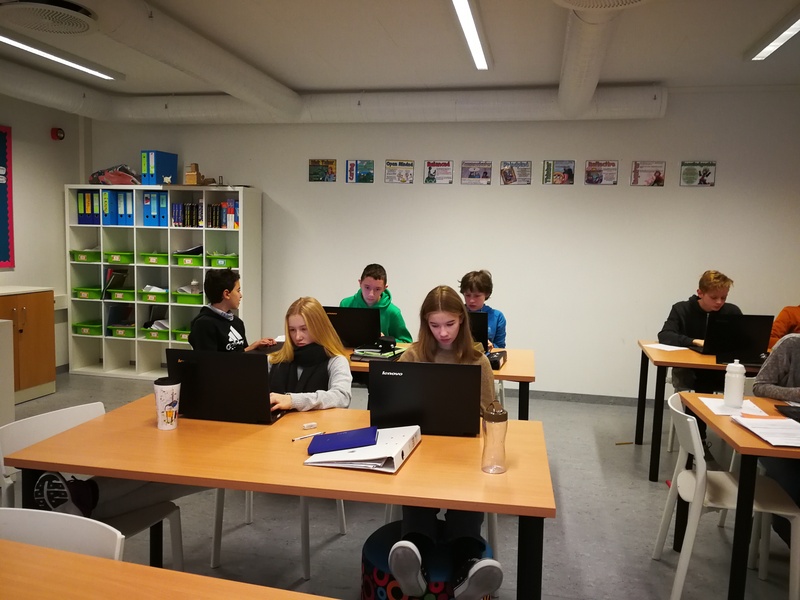 In Design Technology, they used information from their personal biography research to develop and apply new PowerPoint skills, such as importing images and creating transitions between slides. “Can we do this every week?” a few students asked! 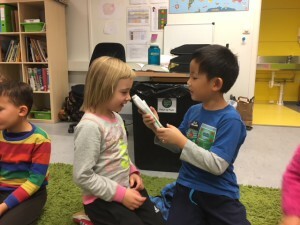 Our single-subject teachers play a vital role in this type of learning and will connect with many units of inquiry across grades 1-5 this year. 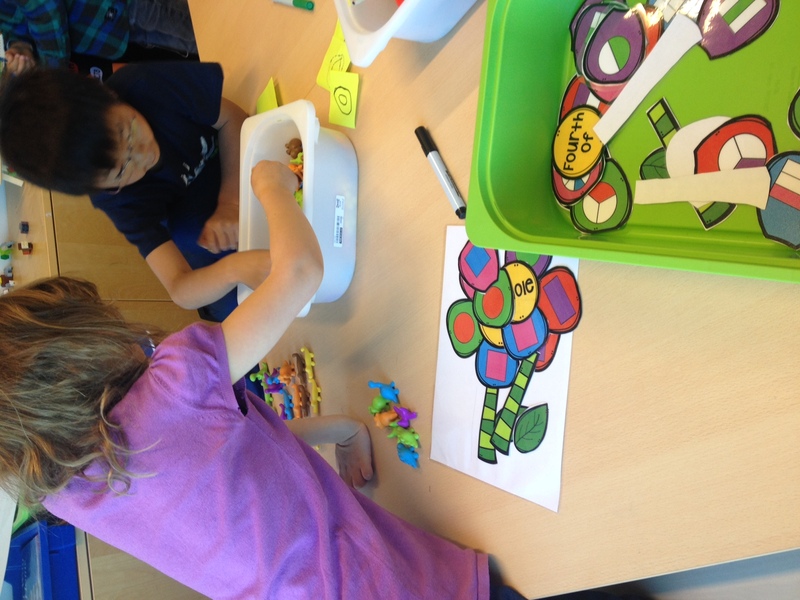 They expand the thinking and provide rich, engaging, multidimensional experiences for all our learners. We are really lucky at GIS to have such a dedicated and talented team in these domains! 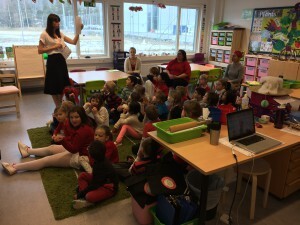 Kimberley Zemlak, PYP coordinator and teacher. A laboratory makes all the difference! 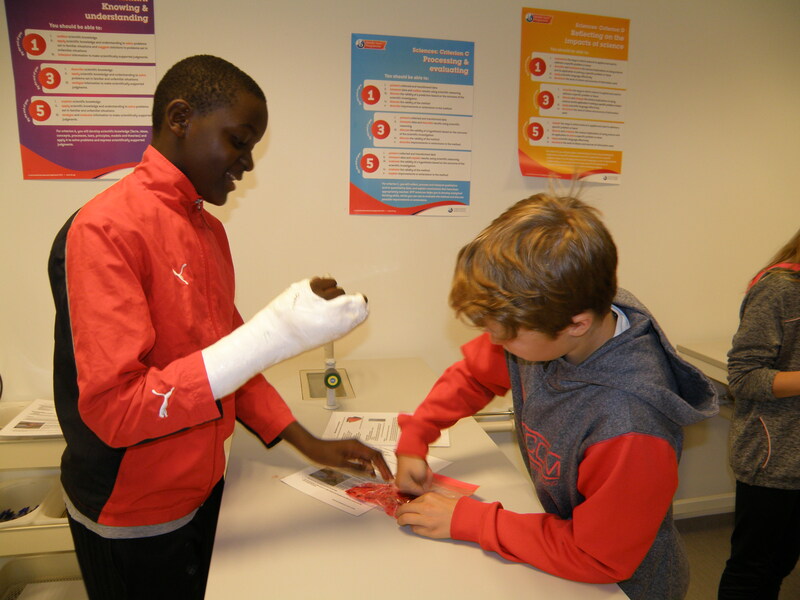 When it is time to crush the berries, a plaster cast is an advantage! David can’t quite believe this blob contains DNA! GIS’s new building includes a specialist science laboratory! 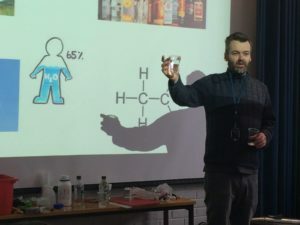 Having access to water and bench space mean we can already include simple experiments and demonstrations in our lessons. 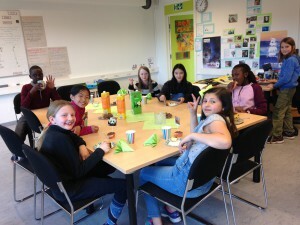 All MYP classes are contributing to its facilities. MYP 1 have developed a comprehensive set of safety rules as part of their introductory unit, What is Science? It will not be long before they will be testing devices which protect eggs. MYP 2’s inquiry Who are we? Reflects on the role of DNA, which they modelled in cardboard and extracted from strawberries. MYP 3 have started with chemistry, How do we map matter? They will enhance the space with alternative representations of the Periodic Table. Stand by for more exciting times ahead! 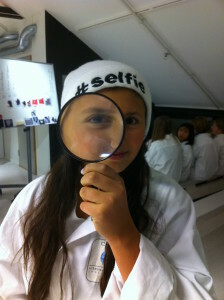 Annie Termaat, MYP coordinator and science teacher. 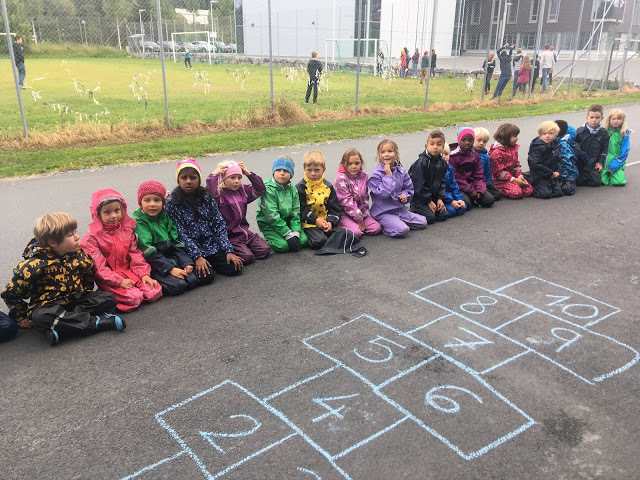 The first week of school was very exciting for students, parents and school staff alike. We welcomed over 40 new students, which means we’ve grown by over 60% in comparison with last year. We also welcomed 7 new staff members and are awaiting the arrival of another 2 in the next few weeks. Each new member of the school community brings his/her experience from previous school(s), his/her mindset and expectations. Each new student and staff member is a new world. We look forward to seeing how this new input enriches us as a school and a community. We believe the interactions between returning and new people will be inspiring for everyone and will make GIS an even more stimulating environment to teach and learn in. Good luck, everyone! Last week all the children from GIS participated in Spirit Week, in which they could express their creativity. 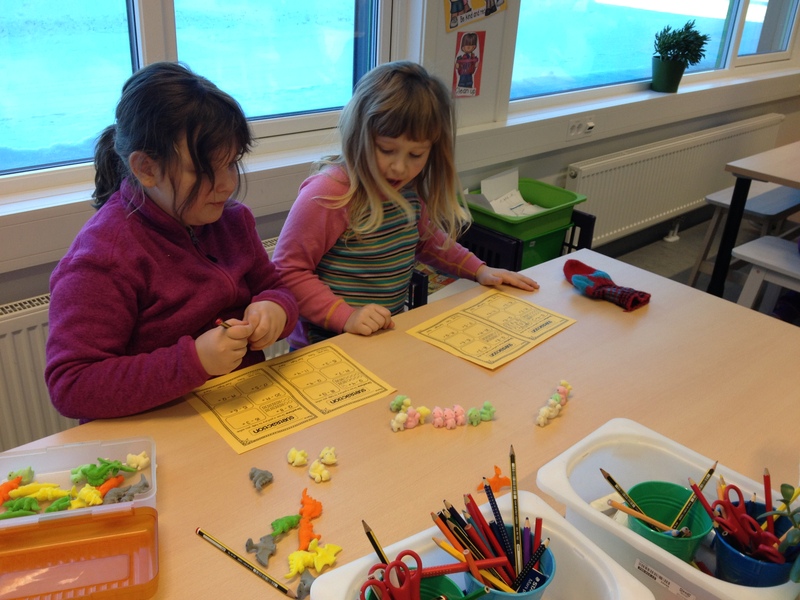 Each day was dedicated to a different activity e.g Math, Film, Books, Toys and Surprise. 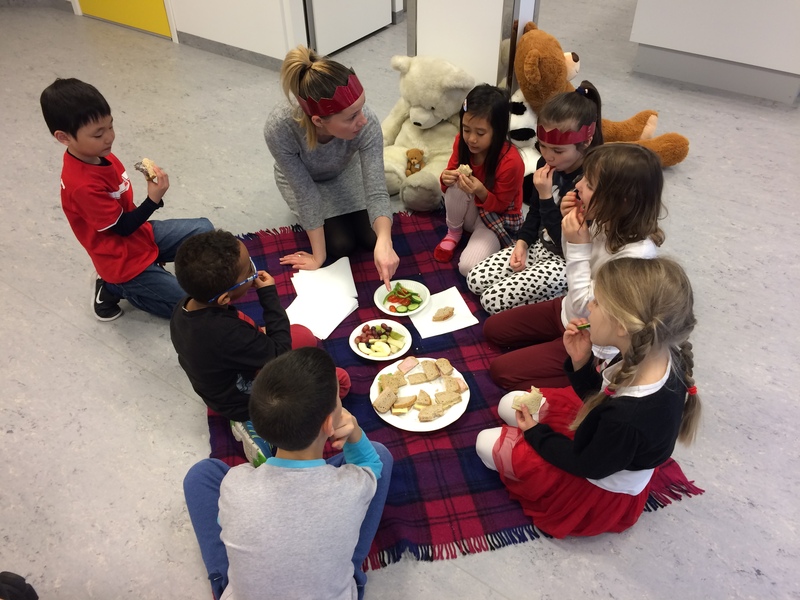 The students from Grade 1 were responsible for organising Teddy Bear Hunt and Teddy Bear Picnic for lower classes at GIS. 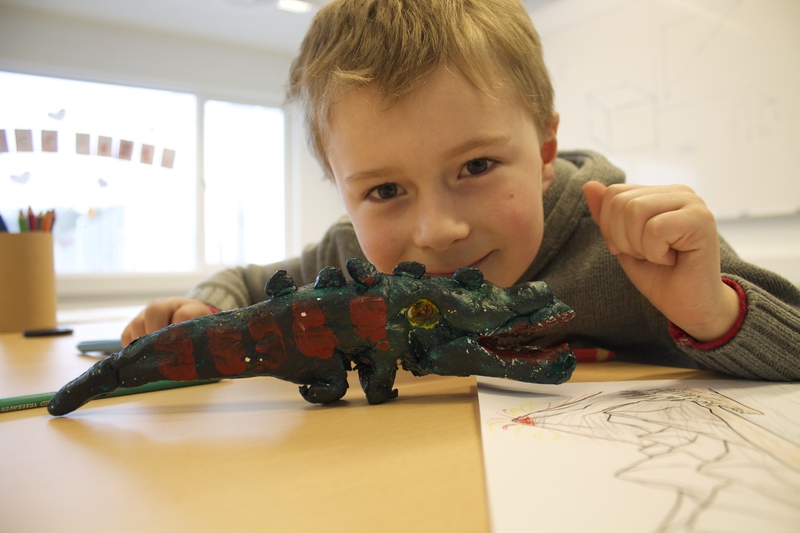 All children from Grades 1-3 were asked to bring their favourite toy which they could play with during the day. We were also all dressed in the colours of GIS logo i.e red, black and white. 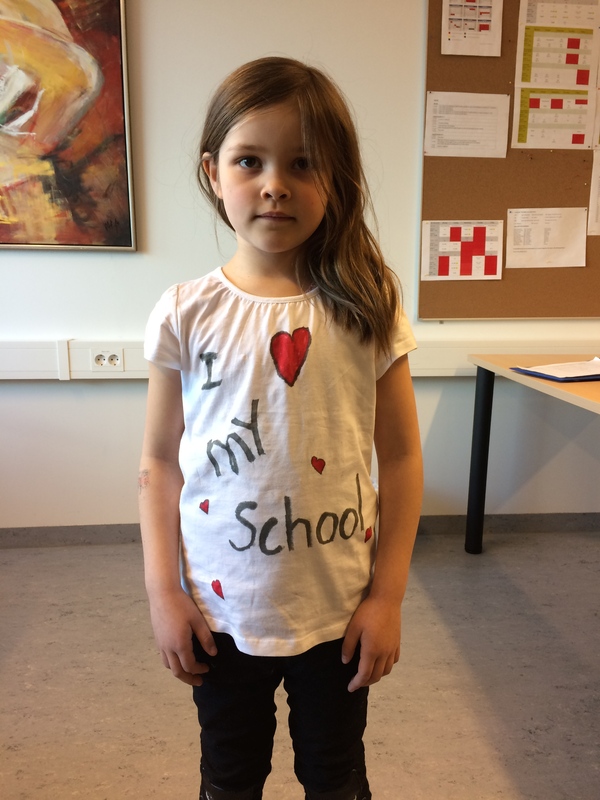 Everyone proved to be very creative, one child even made her own T-shirt with a slogan ‘I LOVE MY SCHOOL’ with the use of appropriate colours. Vincent Van Gogh once said that “great things are done by a series of small things brought together.” This statement is certainly true about numerous things which happen at GIS, including art projects. 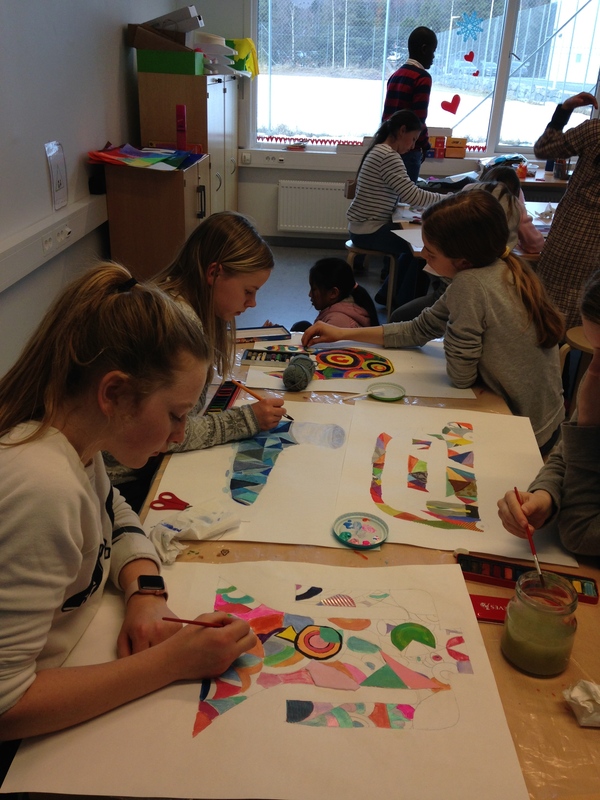 Just recently, Grade 6&7 students spent several weeks working on unique projects inspired by Sonia Delaunay´s abstract art designs. Just like other ´great things´, these big format collages were created from ´small things´ – pieces made using a variety of media and techniques. 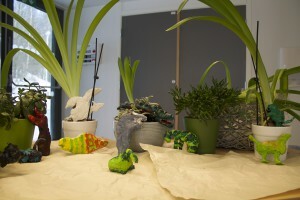 The final result stands out as a prime example of our students´ talent, enthusiasm and creativity. The works have been framed and will soon be displayed in the new school cafeteria to please the eyes of GIS community members and visitors. 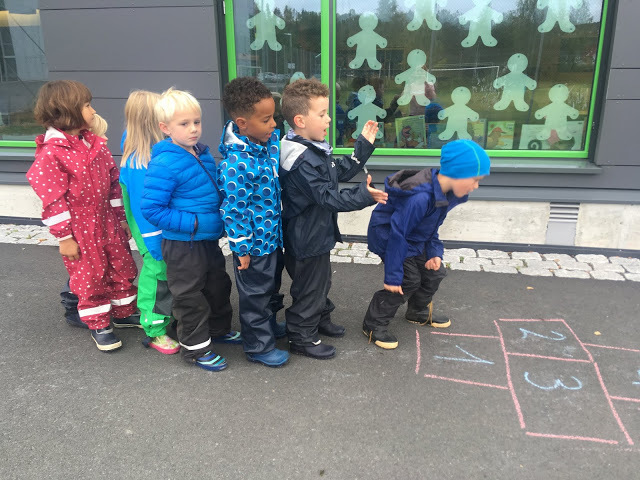 IBPYP Students: Active Agents of Their Own Learning? As dark of winter disappears and we bask in the spring sunshine, it is also time for our students to bask in the beaming faces of their loved ones as they share their triumphs, challenges and joys of their personal learning journeys. 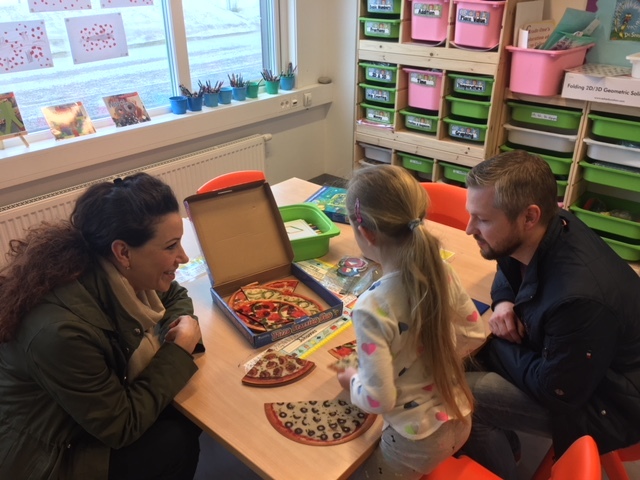 Student-led conferences are an opportunity for students to enjoy time with the families sharing what they have experienced throughout the school year thus far. Students take the lead in planning, preparing, sharing and reflecting during these conferences. It is a unique opportunity for parents to see and understand how their child views his/her own learning. 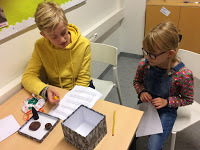 As student-led conferences are planned and prepared by the children with teacher facilitation in each class, they work collaboratively to decide what they view as the most important aspects of their learning during the year and how to share this with their families. 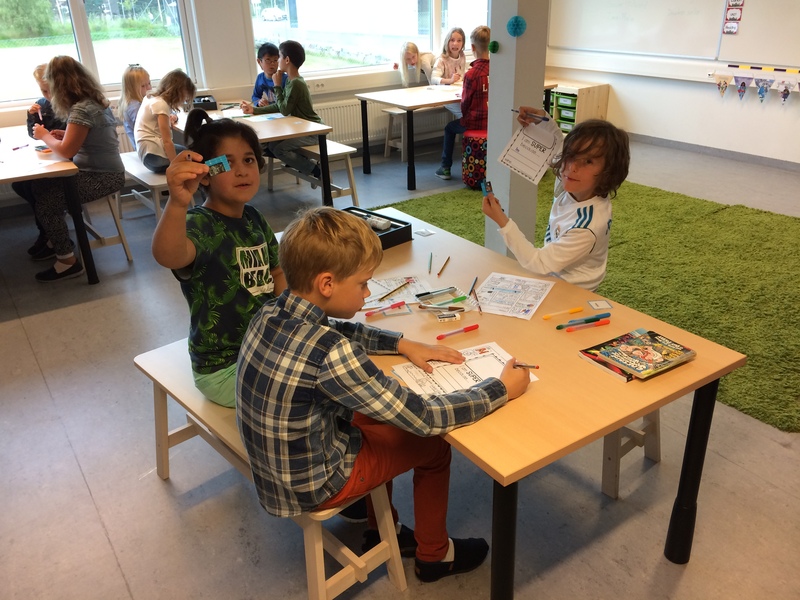 It is also a powerful opportunity for parents and teachers to see children as active agents of their own learning, rather than passive participants in teacher-driven activities. 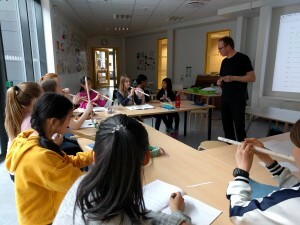 With students designing and driving the conference, it also gives parents an opportunity to experience the progression of their child’s learning as they progress through the grade levels, witnessing the increasingly complex conceptual understandings students are able to articulate, explain, express in their own way while making connections within their world. At GIS, learning journeys are documented through the use of portfolios. Students chose, expand and reflect on their learning by choosing pieces which exemplify their learning in a variety of learning areas, demonstrating a variety of approaches to learning and learner profile dispositions. Students are able to do with increasing independence as they mature. When interacting with your child during student-led conferences, there are several ways to support your child in the sharing process. Arrive on time and be prepared to stay for the full 45 minutes. 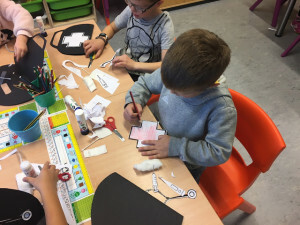 The children have put a great deal of effort into preparing the experiences for you and will require the entire time to go through the experience they have planned for you. Talk to your child as they guide you through the experiences. “Tell me more about why you chose to put this in your portfolio.” “Why do you think this is important?” “If you could change one thing about this piece, what would it be? Why?” Do not hesitate to ask clarifying questions or seek out more information. Ensure your child has your full attention. This is not a parent-teacher conference. 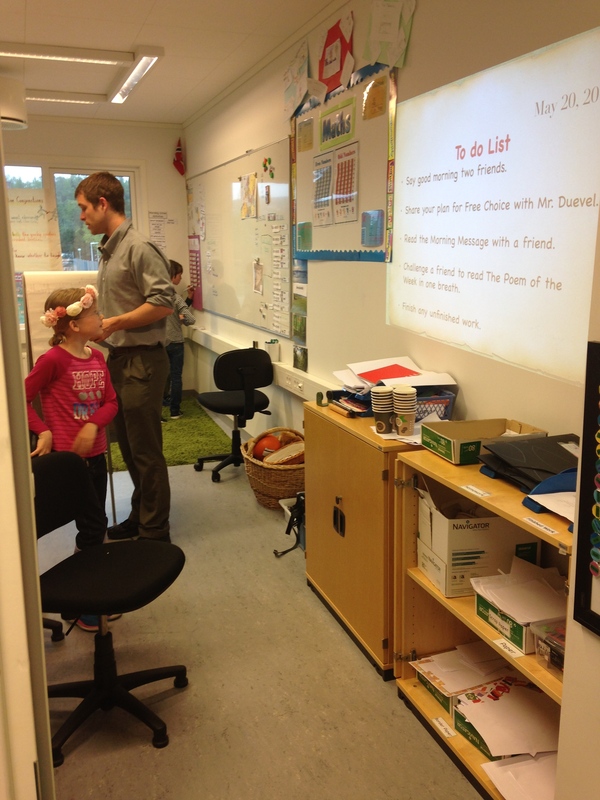 The teacher’s primary role during the student-led conference is to act as facilitator for the child in the explanation of their learning. If you would like to discuss your child’s progress with their teacher, please make an appointment to do this at a separate time. Ensure your other children are in SFO so you are able to completely focus on your child and their learning journey. We are actively planning our student-led conferences and look forward to seeing you all there, enjoying this time to bask in the faces of our children as they share their triumphs, challenges and joys of their learning journey. For more information on student-led conferences in general, please see the links included below. Whether it is in Ms. W’s Art lessons, out on the playground, or a Math class, polygons seem to be taking over the school these days. MYP students have been learning about these, building blocks of geometry and wondering where we can find them in the world. We’ve studied how polygons are vital to abstract art and witnessed the importance of shapes in design and architecture. Students even took time to identify and photograph polygons from their winter break, giving us examples from all over the world including China, the Caribbean, London, Paris and the Canary Islands. During class, students have been categorizing polygons and learning how to draw cubes, pyramids and prisms. 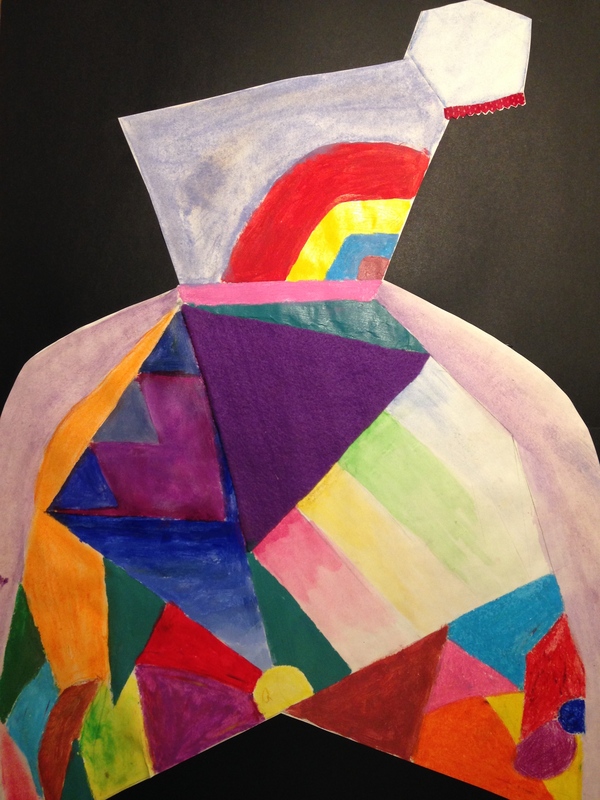 Transferable skills from art class, such as using perspective, have been helpful and reinforce learning. Exploring the world through the eyes of a middle schooler is always an adventure and it has been fun seeing where they find polygons. 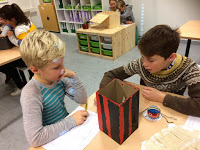 The second and third grade class were busy this week inquiring deeper into their unit on exploration. 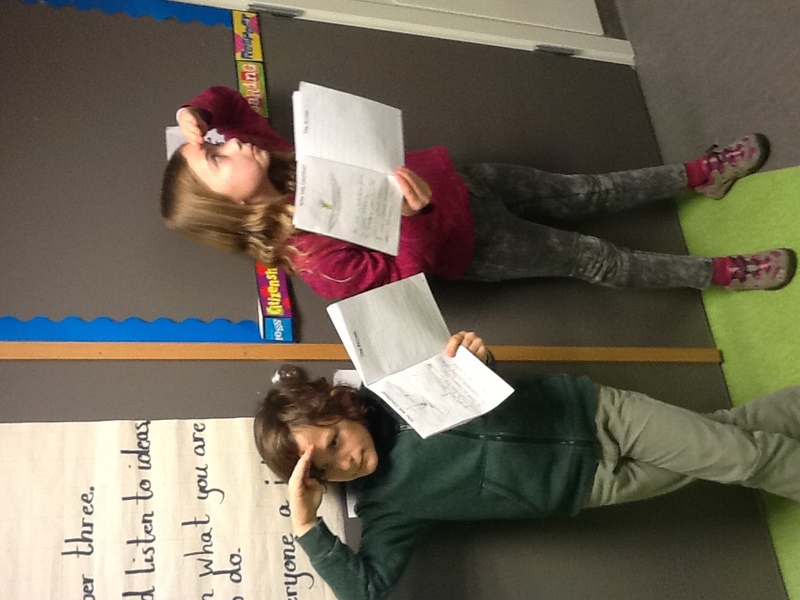 Our focus was on the possible reasons people explore. We learned about different types of explorers, had a guest visitor and learned about who Columbus was, where he went and what he found when he got there. 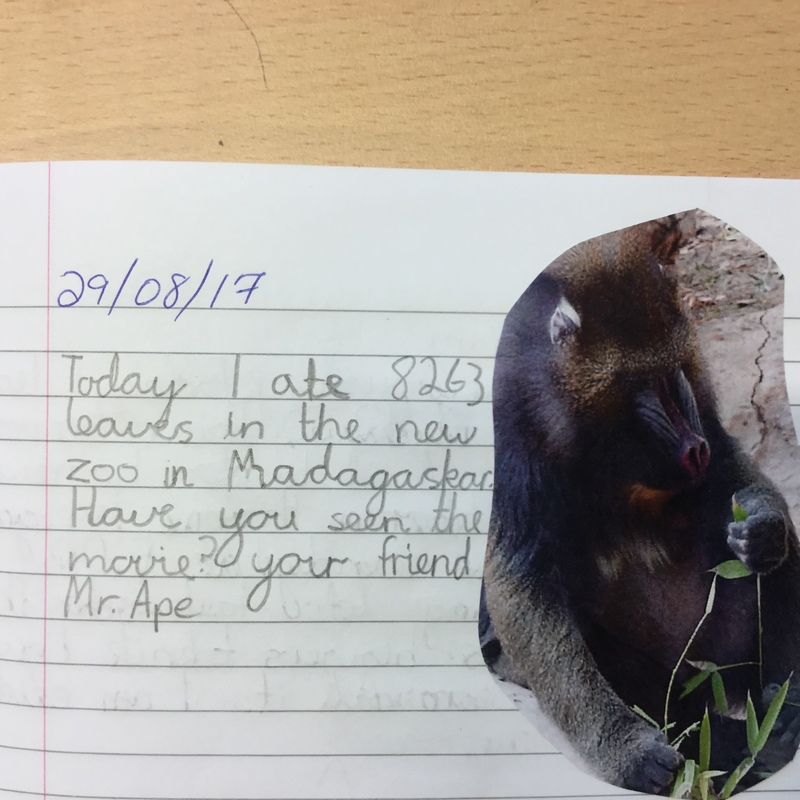 Students showed and reflected on their knowledge by writing in their own travel journal. What tool/skills did they need? What did they find and why was it special? 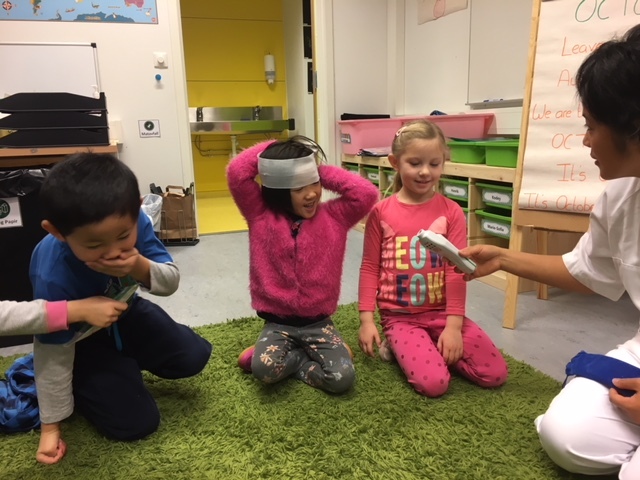 This week in Grade 1, we have been continuing to learn new sight words and have been playing fun games to accompany our study. 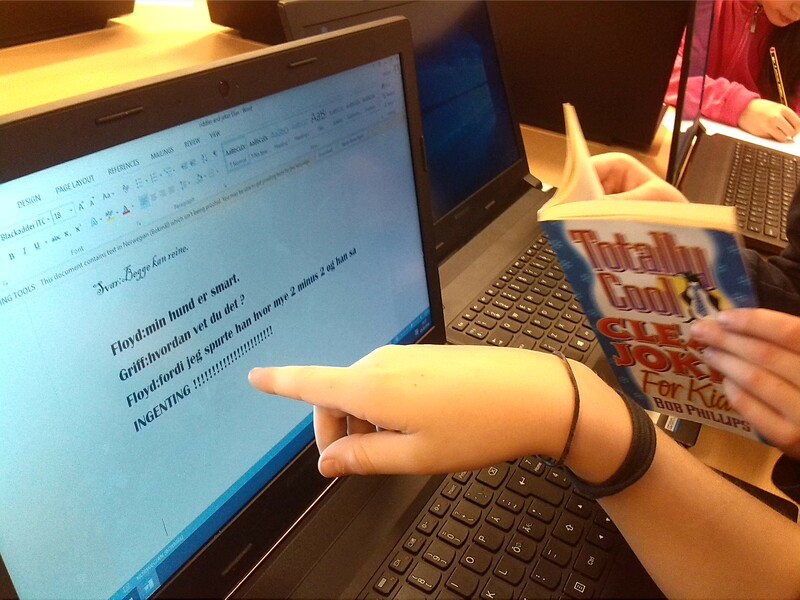 Successful readers use several tools to help them understand texts. 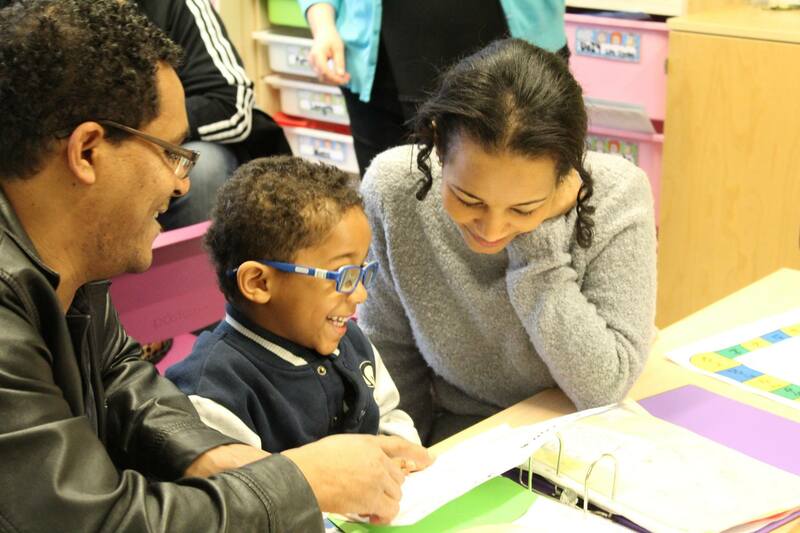 One of the most effective and powerful reading tools that parents can help children develop is sight word recognition. When a child is able to grasp and identify sight words they are well on their way to becoming a thriving reader. 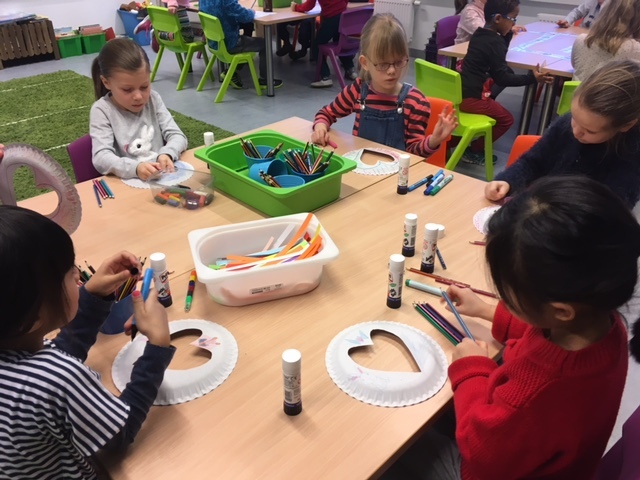 We have been preparing for St. Valentine’s Day in our room as well and Miss K has been coming in on Thursdays for our Crafting Thursday sessions. Miss K has been a superb volunteer in our classroom, who enjoys bringing her love of crafting into our classroom. It is that time of year again, when we leave the joys and woes of 2016 behind us and look forward to what 2017 will bring. Many of us will be making resolutions, losing our 5kg of holiday weight or spending quality time with family and friends. 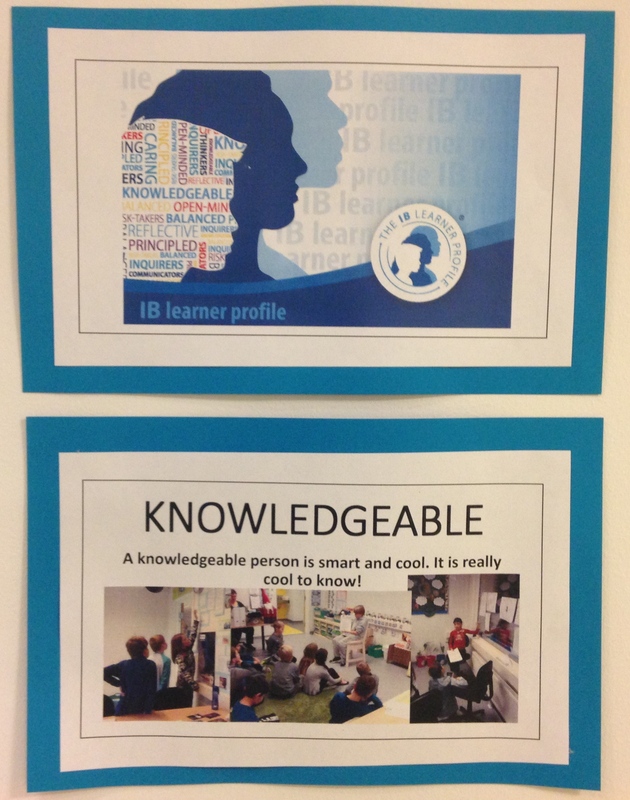 Why not look to the IB learner profile for inspiration? The IB learner profile is a set of 10 attributes which drive international mindedness: inquirer, thinker, knowledgeable, communicator, caring, open-minded, courageous/risk-taker, balanced, principled and reflective. As IB learners, we are bound to this set of principles in our quest to be internationally minded individuals. The beginning of the new year is an excellent opportunity to set goals with our families. 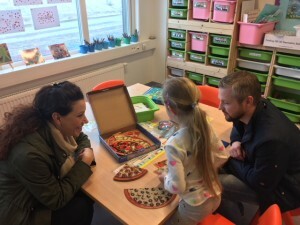 Focusing on the learner profile attributes our families see as areas of development, setting goals together can encourage all members of the family to further develop their international mindedness. An example would be a focus on the learner profile attribute of communicator. Possible goals could include a focus on listening for understanding rather than listening to respond. Or encouraging children, as well as adults, to record their favourite experience each day, keeping these in a safe place, to be read aloud at the year’s end with the family to reflect on the joys of the year. As the world becomes increasingly connected, the new year is a wonderful time to take a step back and refocus our efforts, assisting our children to develop their personal attributes. The IB learner profile gives us a framework for this development, as well as our own, to become more internationally minded individuals. As PYP Coordinator, I am often asked to explain to new parents at GIS differences between our classrooms and traditional classrooms, things which set our classrooms at GIS apart from others in the region. 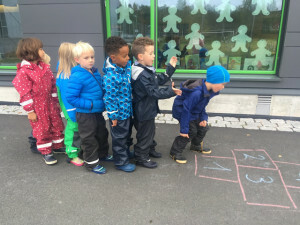 There are many answers to this question: the constructivist, inquiry-based classroom experience, the emphasis on the development of the whole child, the focus on critical thinking skills, the importance of real world experiences, and sharing of knowledge and understanding through collaboration and cooperation. 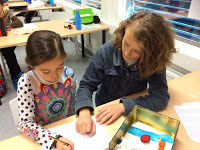 These components of the IBPYP experience at GIS are all accessible for students, but we offer more than the stereotypical “at school, in the classroom” learning experience. 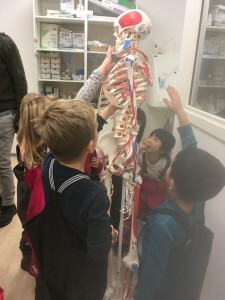 Students also participate in excursions (or field trips) within the local community, and further a field as they mature, which are designed to deepen the students’ understanding of concepts being explored within their classrooms. Excursions give students an opportunity to put the concepts and ideas discussed during classroom learning experiences into a real-world context. They can also be used as a discussion prompt, giving students a joint experience to begin the conversation and deepen their understanding. 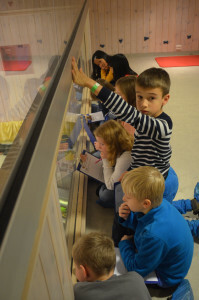 Although constructivism, inquiry and the importance of experience are partially based on Jean Piaget’s work from more than 60 years ago, there is also more current research to support the importance of the excursion experience. Research from Jay Greene and his colleagues at The University of Arkansas released in 2013 demonstrates that understanding and learning can be greatly influenced after “a single, guided tour of an art museum”. Students demonstrated increased cultural interest, critical thinking, tolerance and empathy, all important components of the essential elements of the Primary Years Programme and what we do at GIS. If you would like more information on the importance of excursions, please find some sample links below or contact me directly. Greene, J. P., Kisida, B. & Bowen, D. H. (2014). 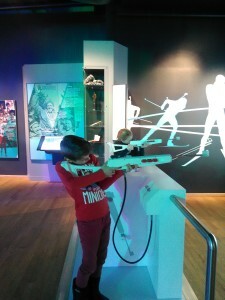 The Educational Value of Field Trips. Education Next, volume 14 (1). It´s EIementary, my dear Watson! 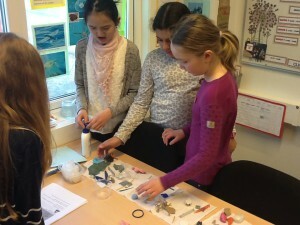 Inquiry as a form of learning goes hand in hand with the MYP science curriculum. 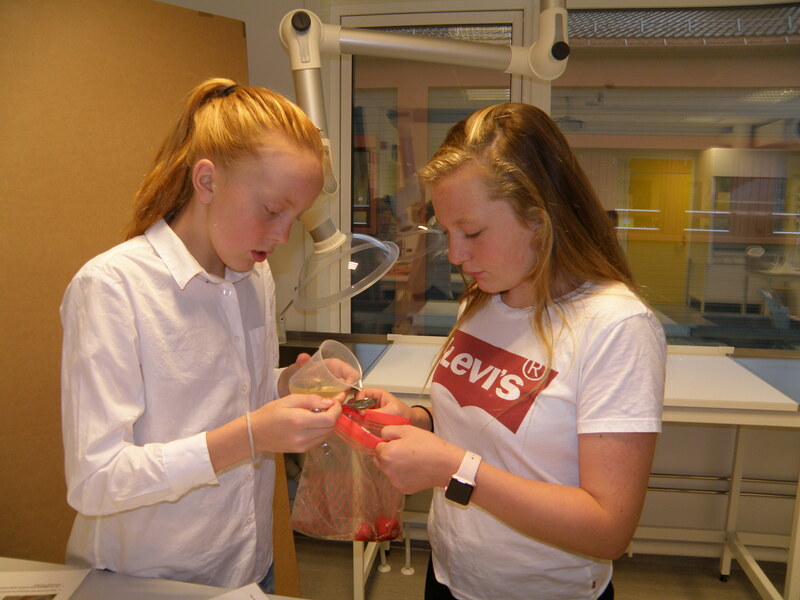 This year our students have focused on learning about the scientific method, examining the work of scientists and what they do, and how to conduct experiments. To facilitate our learning we have visited the Vitensenter here in Gjøvik. 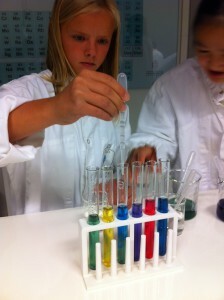 The center gives us a chance to work in a laboratory and explore the tools used by scientists. 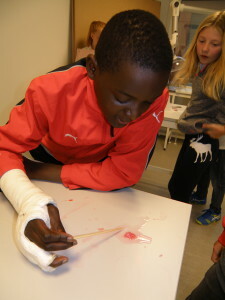 Our most recent visit focused on forensic science. 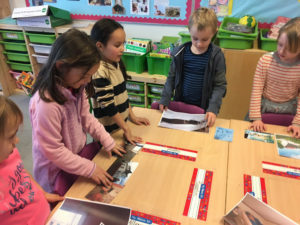 Students worked to solve a mystery about a stolen painting. Through research and questioning students were able to test their hypothesis, draw logical conclusions and determine the culprit. 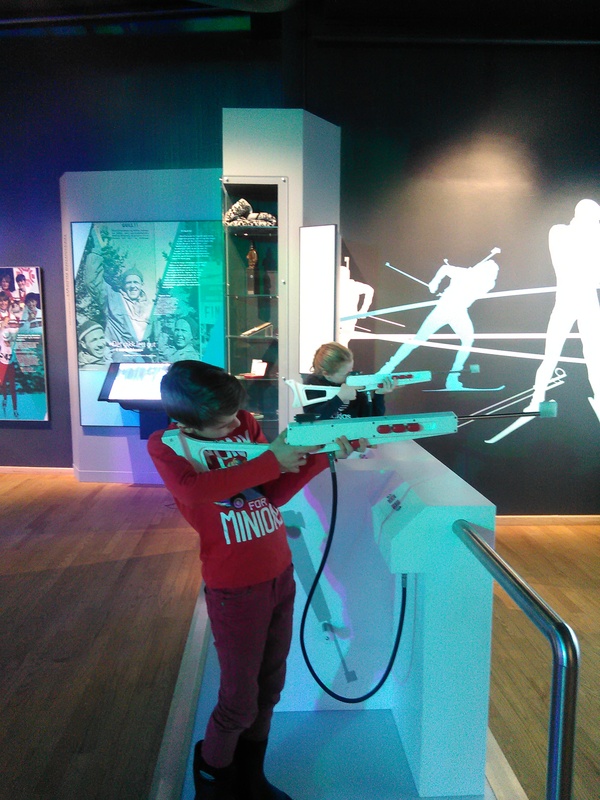 Science can be exciting and conducting science is in fact often like being a detective. Our second unit of inquiry in Grade 2-3 has been focused on Marketplace. Students have been inquiring into where products come from and how vendors choose a price for what they sell. 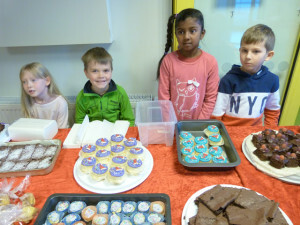 They explored this subject by setting up market stands within the classroom. They were tasked to take on vendors and with a simple currency asked to price their wares, and try to sell them to their fellow students. 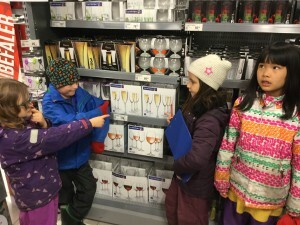 We also inquired into the concept of supply and demand. Finally, we visited a local Europris to look at how the store was supplied in order to meet the local demand. Items that were sold in large packs. Items that were being sold in bulk. 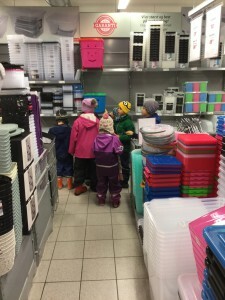 Items that store carried only a few of. 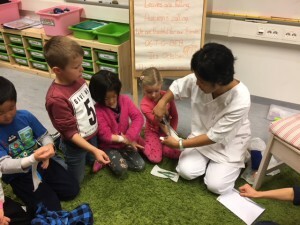 On Tuesday, Grade 1 students were given the opportunity to view a medical triage ward. We visited Mr Svarthaug, who is a nursing lecturer that specialises in anaesthesiology. He gave us a tour of the teaching labs and showed us how to help someone with a broken thigh bone as well as view a skeleton to see what the bone looked like from another perspective. Students were then given the opportunity to learn more about injection and how medicine could make you better. 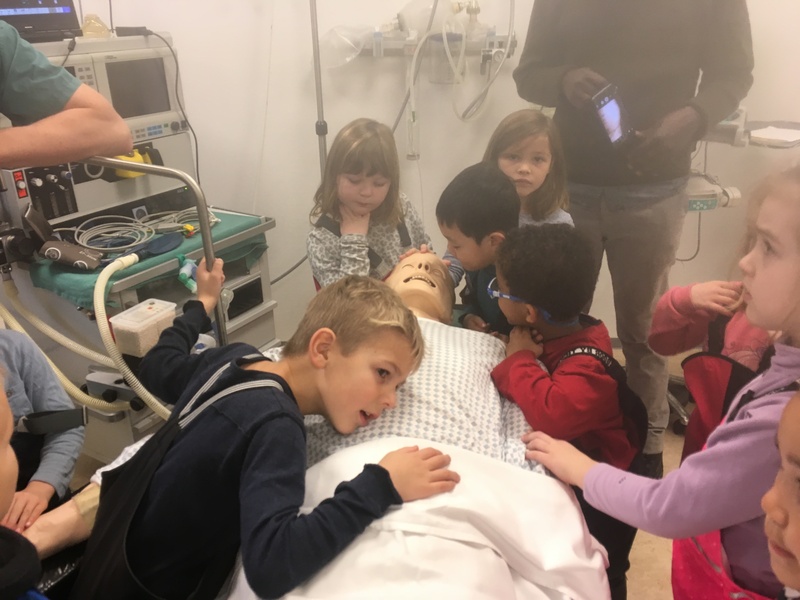 All the students were thrilled to give the doll an injection. 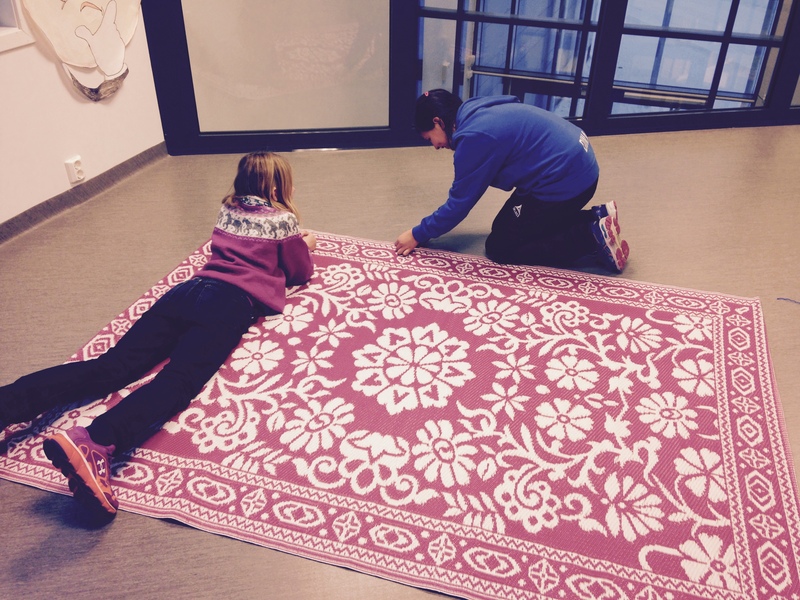 A huge thank you to Mr Svarthaug for helping us get a hands on perspective for our unit of inquiry. Last week was filled with fabulous learning opportunities. 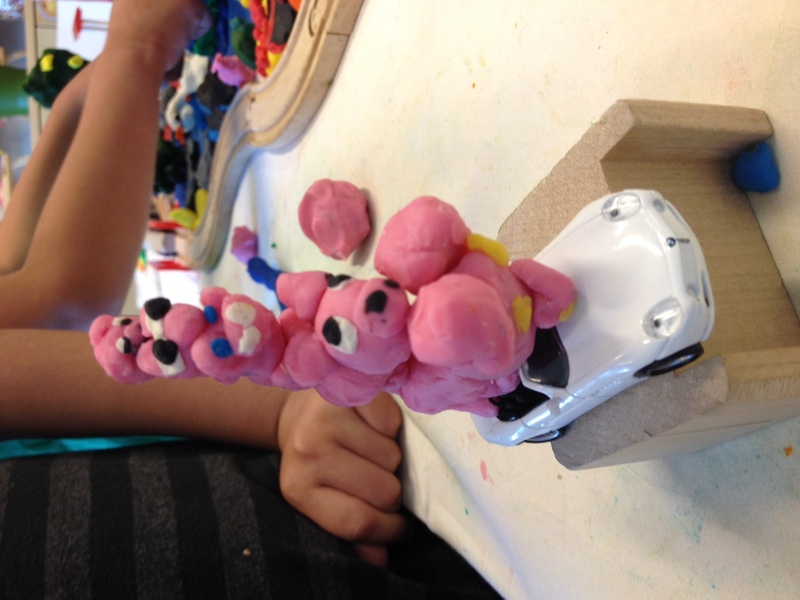 Grade 1 was thrilled to share their understanding of community helpers with the school. 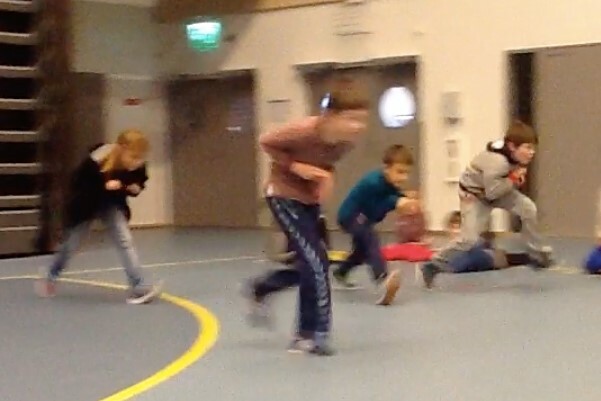 We used our study of fire fighters and combined it with the school’s annual fire drill. 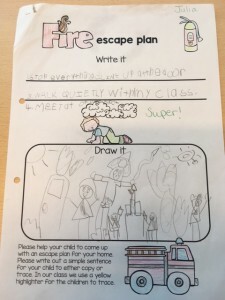 Grade 1 spent a week focused on the topic of Fire Safety both at home as well as at school. 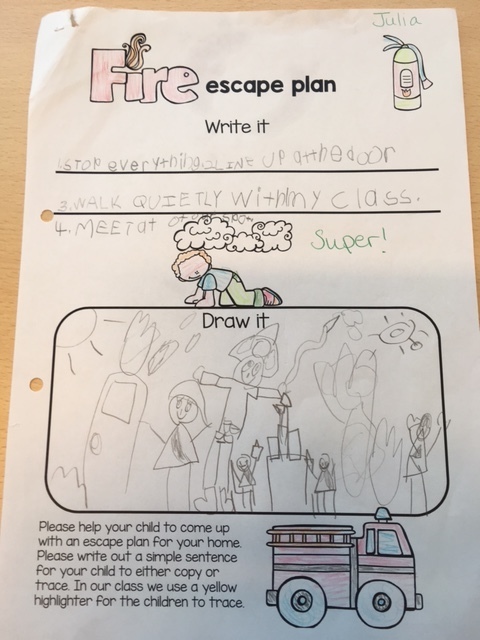 The students shared their home escape plans with the class on Monday and we practised climbing out the window for our classroom escape plan. We also performed our Hurry Hurry Drive the Firetruck song for our school assembly as well as shared our learning. 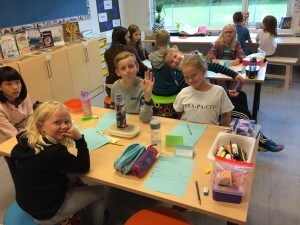 How to Increase Our School’s Profile? At the very heart of the IB education we offer at GIS, there is a set of ten essential characteristics called the IB Learner Profile. Everyone involved in international education sooner or later comes across these ten magic words: inquirer, thinker, communicator, knowledgeable, caring, principled, risk-taker, open-minded, reflective and balanced. There are two ways of looking at the Learner Profile. One way is to teach it. Since all international teachers are primarily language teachers, they usually try to make these words accessible to all by illustrating them, displaying them around the school, completing crossword puzzles and word-formation activities, and by using them as much as possible while talking about daily school matters. There is yet another, much more powerful, way of embracing the Learner Profile, which is to live it! Even if you say the word ‘caring’ several times a day, you are not going to make others feel your care, if you do not genuinely care. Even if your students know that the word ‘principled’ is derived from the noun ‘principle’ meaning a basic rule, this knowledge does not help them stick to the rules. No matter how many times you call yourself a risk-taker, if you do not do anything to get out of your own comfort zone, there is no risk-taking happening. There is no way to become open-minded if you believe there is only one way and it is your way! We need to make sure that these ten qualities become a part of our individual profiles. Grade 6&7 students tried to help us all see possible actions behind these big words by sharing practical examples of living the Learner Profile. The students were certainly curious inquirers while interviewing GIS community, analytical thinkers while selecting the details to share in their assembly, and effective communicators while delivering their message to the audience. If we try to live the Learner Profile at GIS, we will enhance the quality of life and education taking place at our school; we will increase our school’s profile! Long story short: nothing has a bigger impact on learning than constructive feedback. Not even beloved homework, which sometimes is an indicator for parents of how ‘good’ their child’s teacher is. Quality feedback can enable and empower. I learned about the power of feedback again when I taught a Grade 4-5 class yesterday. 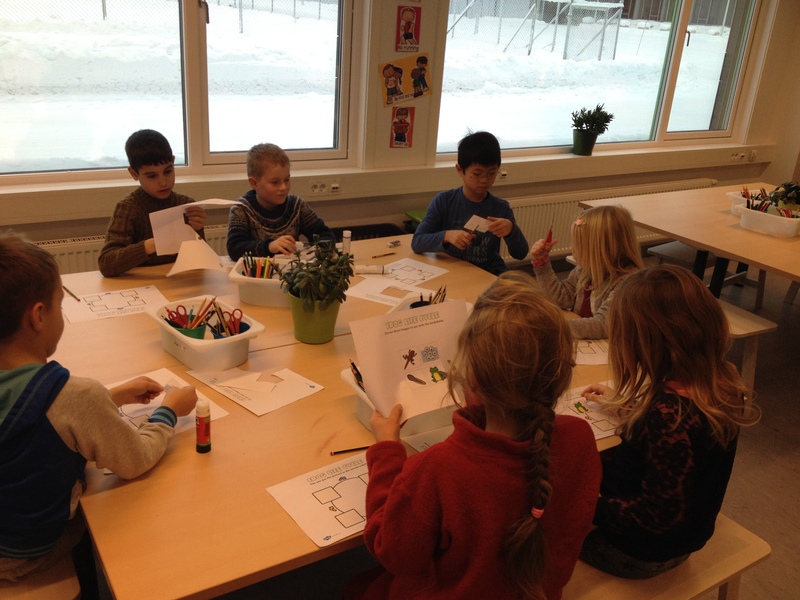 In small groups, the students were supposed to present what they had learned about the human brain before. 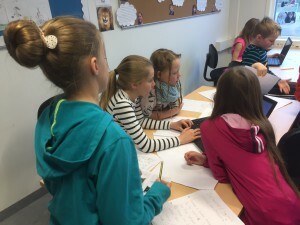 Four groups chose to create a YouTube-style video. Extremely excited about the project, they wanted to record their clip as soon as possible, cutting corners. 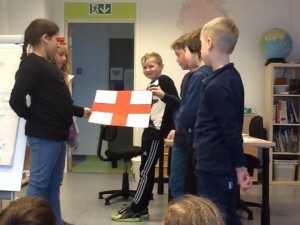 Each group presented and was recorded in front of the class. The audience gave all presenters feedback on what would have made the video more YouTube-like. This was supposed to be the end of the activity. However, three of the four groups asked if they could present again, incorporating the feedback they had just received. 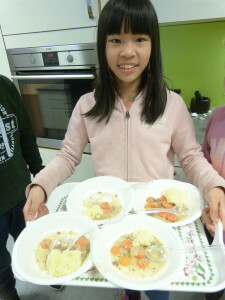 Unsurprisingly, their performance showed improvement and gave the students a lot of satisfaction. Good feedback enables. 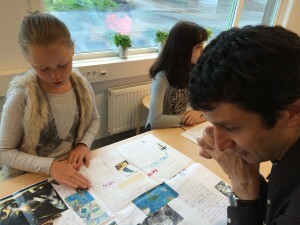 The experience reminded me of the feedback I had received the previous academic year from a then Grade 1 student. 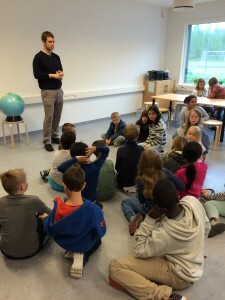 It was a second time I taught a class to the groups of students. To the end, a girl asked me if she remembered correctly that I had taught them before. After I confirmed, she said, “Today was better.’ Feedback empowers! We give and receive feedback every day, both at work and at home. How we give feedback and what we do with the feedback we receive can have a great impact. So, we have a fairly powerful tool in our hands as teachers, parents, colleagues, friends, siblings, etc. It’s entirely up to each of us how we use it. The grade one and two classroom has been a hopping place the past few weeks. The children performed a fantastic production of The Three Little Pigs for their class assembly. We continued to add to the building of the classroom village; motor vehicles were added to the roads and more people were added for the park. The building of the village allowed the children to understand the need for city planning and the needs and wants of a community. In maths, we had blast learning about fractions and had a pizza party to celebrate our understanding. We introduced new fraction games as well as reviewed patterns and shape concepts through games. 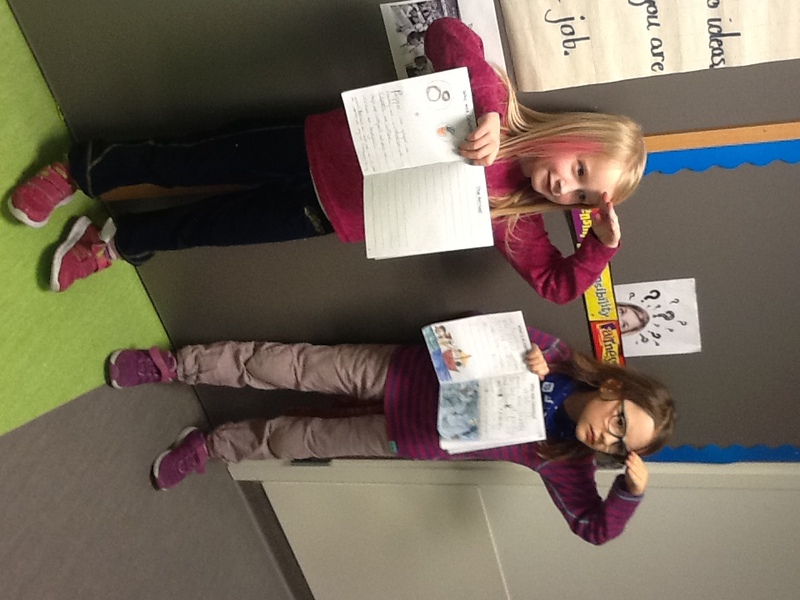 Our sixth and final unit in Grade 3-4 has been focused on how human exploration has had an impact on society. 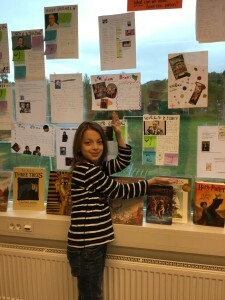 As a homework assignment, students were asked to research and create a poster about a famous explorer. Who were they and where did they come from? When did they leave and what were they looking for? Where did they go and how did they get there? What made this exploration special? How did their discovery change things? 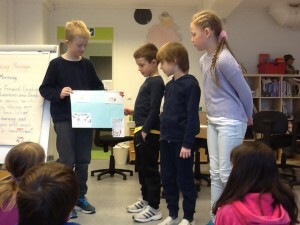 On Tuesday during our school assembly Grade 3-4 presented their posters to the students from the other grade levels. It was a joy to see a room full of students eager to share their hard work and a group of students listening intently and asking great questions. The time between 8:15, when students are allowed in classrooms, and 8:30, when lessons start, should never be called ‘a lazy morning’ at GIS. 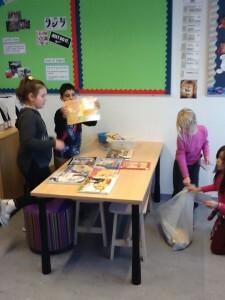 Grade 1-2 have the opportunity to read and play. Grade 3-4 and Grade 5 students have their morning to-do lists, which keep them occupied with all sorts of engaging activities. The activities usually range from finishing little tasks from the previous day to buddy reading or solving language and maths puzzles with a partner, to sharing projects on display, to exchanging thoughts about the quote of the day or responding to learning provocations prepared by the teacher. Today, as usual, the narrow corridor on the first floor was buzzing with excitement. Intrigued by the photos on the posters from Grade 5’s Human Life Cycle display, some Grade 3-4 students stopped by and 5th Graders explained the purpose of the task to their curious younger friends. 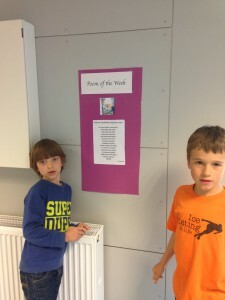 A few steps farther, several Grade 3-4 students were reading the Poem of the Week, a few were inquiring about the names which can be given to both flowers and people. Other students were in their classrooms, working on yet another item from their morning lists. Don’t we all love to start a day by ticking off a few boxes on our to-do lists? 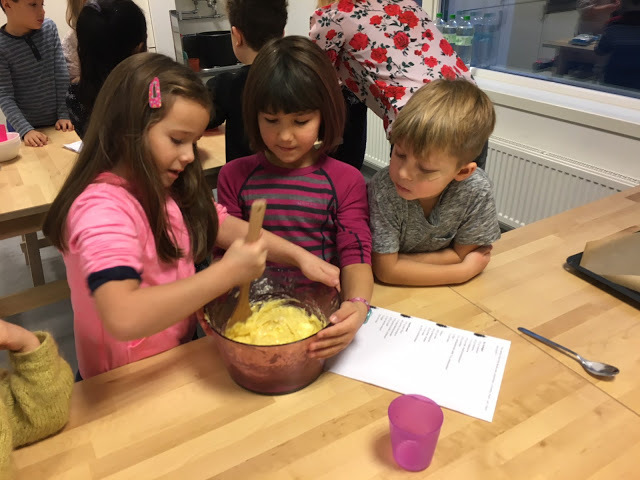 For the last couple of weeks Grade 3-4 students have been exploring Norway, trying to understand why tourists come to visit our country. One part of this task was to choose an attraction or an area of Norway and write a little text for a tourist brochure. After the choices were made and the drafts were written, the students were divided into three groups based on their topics. Group East students are writing about the eastern part of Norway. 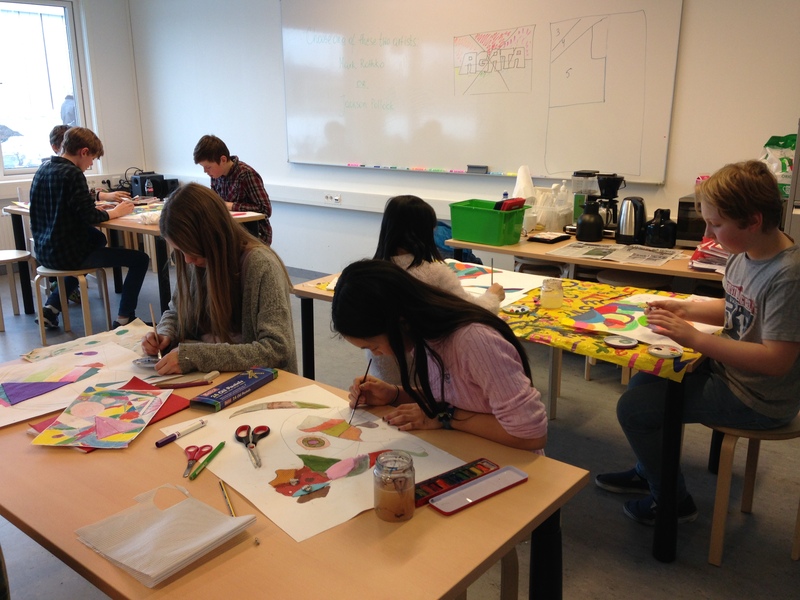 Group West students are focusing on western Norway. 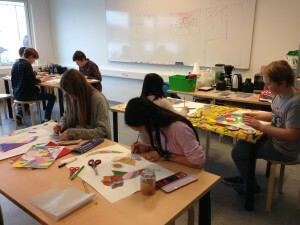 Group North students are making their brochure about Northern areas. It is great to see so many different ideas. 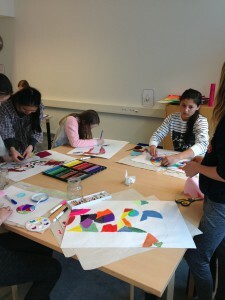 And the students are putting a lot of effort into their work. We will finish the work next week. This week has been very special for Grade 5 students at GIS, who have been celebrating their learning in the Exhibition. 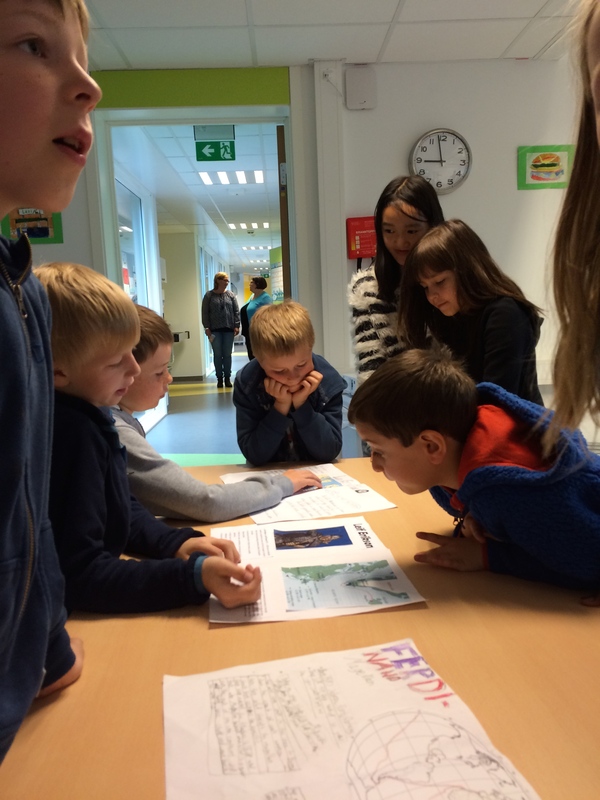 After seven weeks of extensive research about global problems of their choice, the students shared their findings and new understandings with the GIS community. 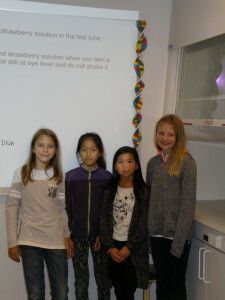 During their presentations, they aimed to inspire others to become a part of the solutions to these problems. The audience of various ages could learn how to help the elderly, how to protect the environment to help preserve biodiversity, how to clean the oceans and how to help homeless animals. 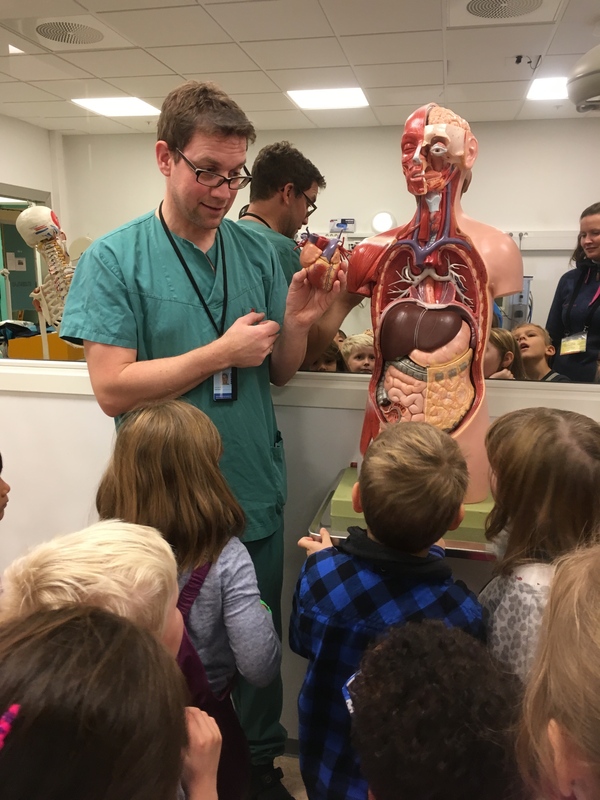 They also learned about the significance of microbiology, importance of veterinarians and complex relations between humans and animals. Most importantly, fifth-graders led all by own example, sharing the actions they had already taken themselves to make the world a better place. All of it because at GIS we believe that there is very little value to knowledge if it doesn’t translate into action! This week in 3rd and 4th grade, we have returned to a system of maths stations. The students have been put into three groups. Each group was asked to solve the complex maths problem of calculating how many days of school were left until the end of the year. 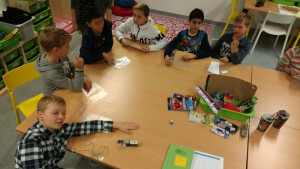 Without a calendar this task proved to be a challenge requiring the students to use multiple types of maths operations to come to an answer. 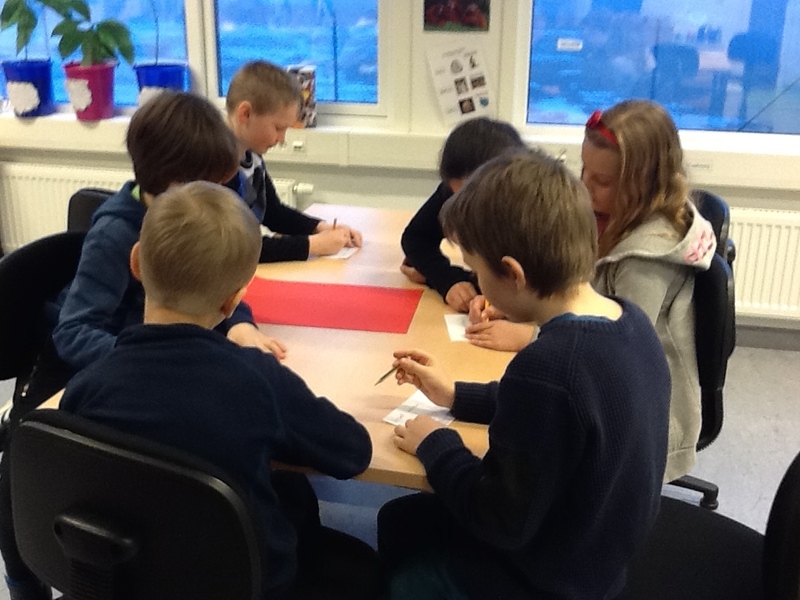 Once all groups presented the maths they used to work through their problem, they drafted four expectations that they would have of each other when working as a team. 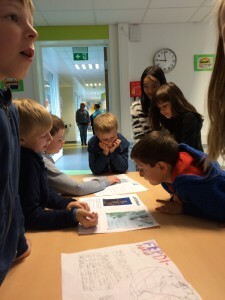 The students came up with a group name and each group member signed their group poster, acknowledging their responsibility to live up to their team’s expectations. Next week, we will be moving on to learn about how to approach complex division problems. 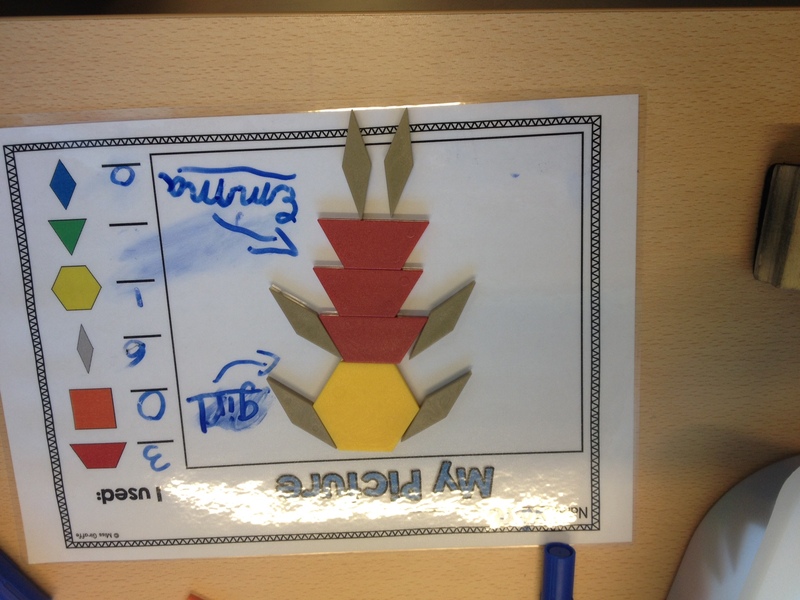 This week, grade 1 and 2 have been looking at the concept of patterns in our maths lessons. We learned about AB, ABC and ABCD patterns as well as variations. We have learned about patterns in real life (such as a bumblebee and zebra) as well as patterns around our school (lockers, doors and floors). We were very excited to get new math resources in our classroom this week to help us carry out our observations. We are looking forward to using our bears again next week when we look at the concept of mass. PD can stand for two things at GIS. It can be the initials of one of the staff members. It can also stand for Professional Development, one of the most significant aspects of our school philosophy. As a community of lifelong learners, at GIS we promote a continuous growth among students as well as teachers. GIS teachers collaborate on unit planning and assessment, share their best practices and attend various workshops. Just recently, in preparation for my role of the MYP Coordinator next year, I attended an inspiring IB workshop in Madrid. 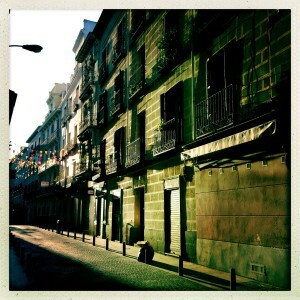 I left Spain filled with reflections, ideas and strategies to implement at GIS. 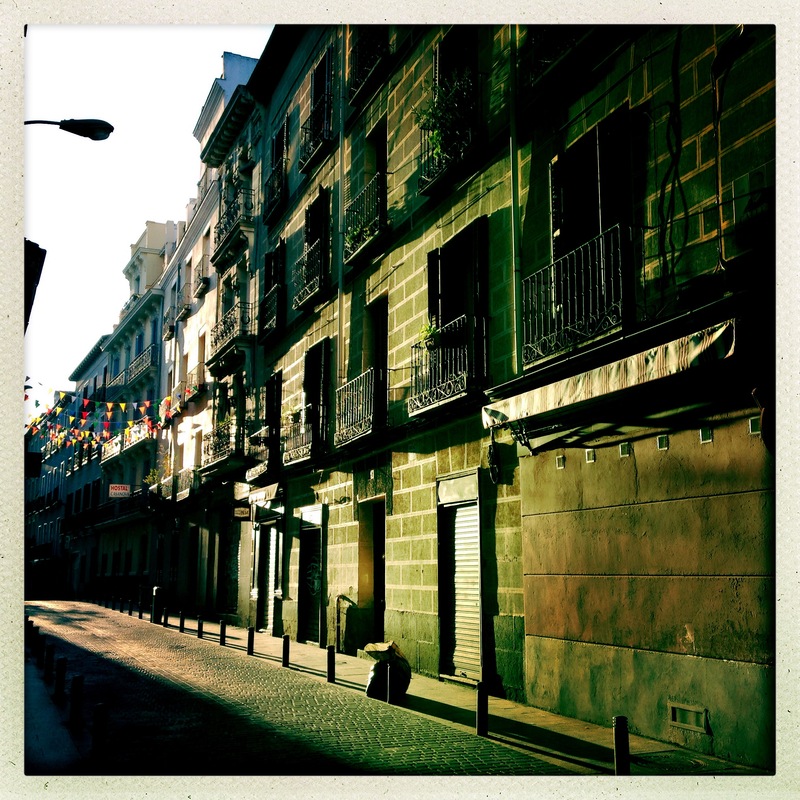 I also left the city of Madrid filled with plenty of aesthetically pleasing memories. 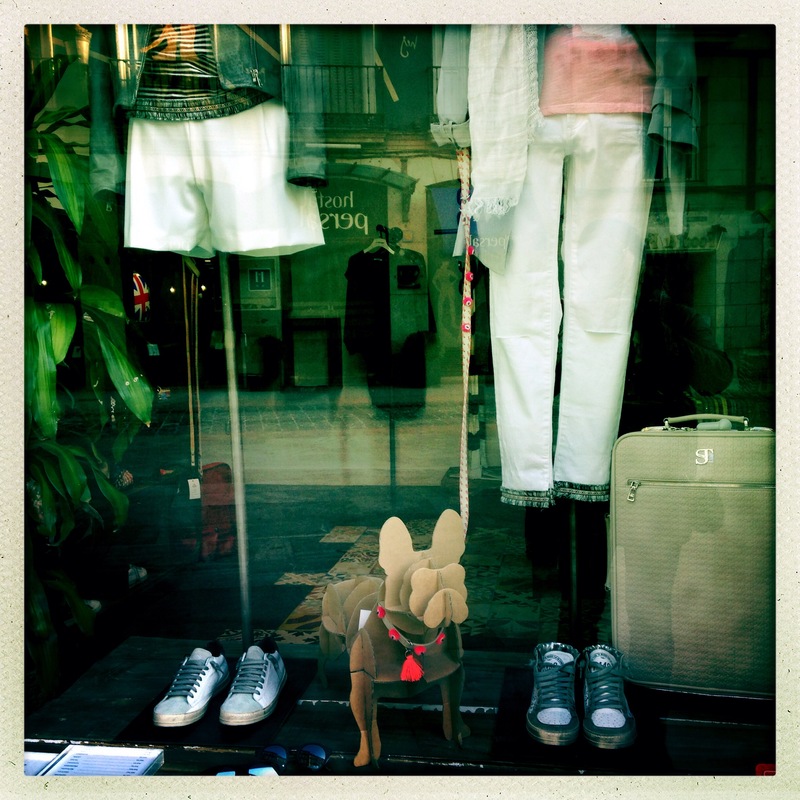 As a Visual Art teacher, on my way to and from my IB workshop venue, I admired grand architecture, intricate decorations on old buildings in the maze of small streets, and unique shop window displays. Luckily for GIS’s budget, all the shops were still closed in the mornings and already closed in the evenings! For the past 5 weeks we have been looking at Life Cycles in our classroom. We learned about the changes required for a caterpillar to grow into a butterfly as well as the growth patterns of frogs. As we now complete our study of the Life Cycle of dinosaurs in Grade 1 and 2, students used all their prior knowledge gained throughout the unit to create a fabulous display in the GIS entrance way. In Art class, students sketched dinosaurs, modeled them in clay and painted them with acrylics. 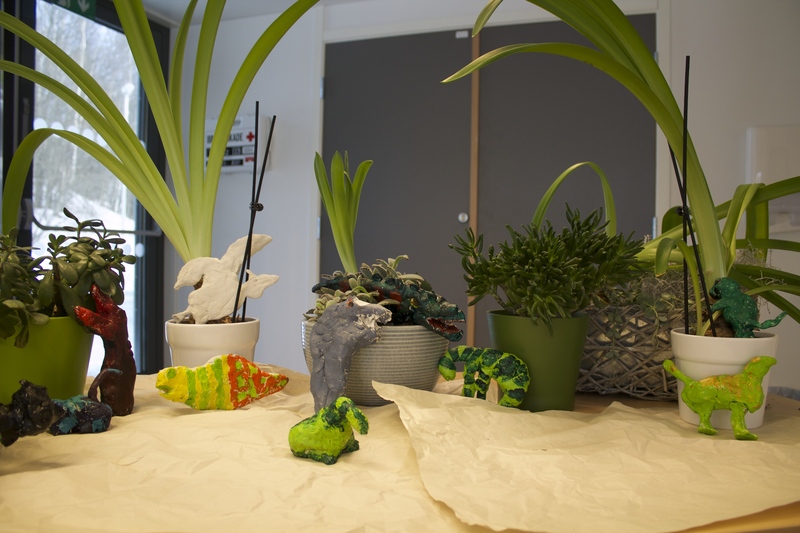 These beautiful dinosaurs have been displayed in a forest of plants. 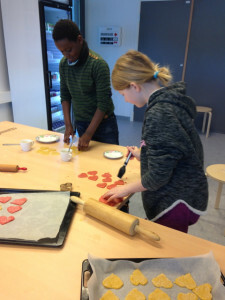 St. Valentine’s Day can be a great excuse to love, care, create and learn. At GIS , the Student Council organized a dance party to celebrate St. Valentine’s Day. 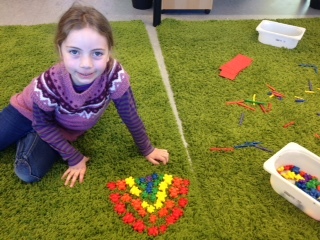 This st arted a snowball effect and the students became engaged in all kinds of projects related to St. Valentine’s Day. 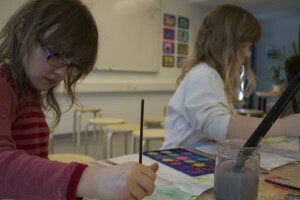 In Art lessons, they created unique Valentine’s cards, which were then sold to raise money for a charity. Over a hundred cards were sold! 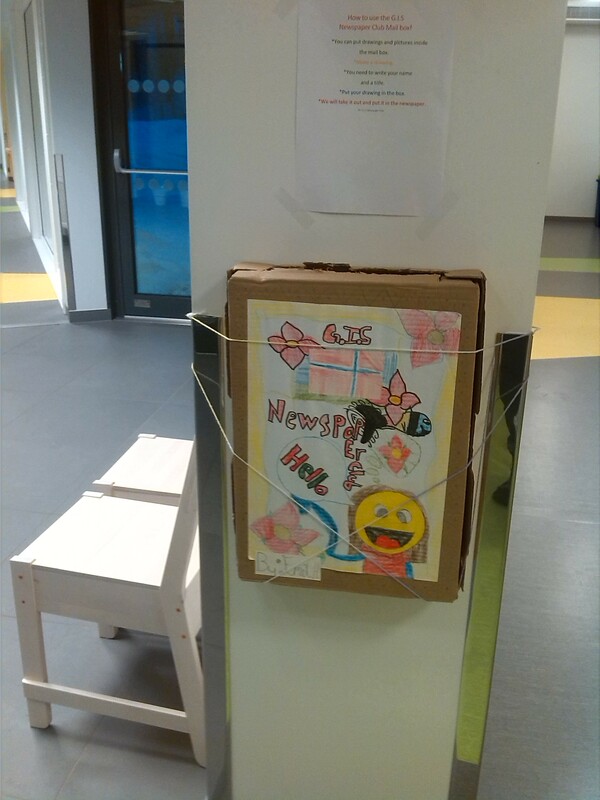 Some of the cards went home and some were exchanged at school in the Love Box set up by the Student Council. In the Calligraphy Club, students used their amazing skills to write short texts for the cards as well as to decorate the cafeteria for the dance party. In Mathematics, Grade 3-4 and 5 students baked heart cookies using various units and tools for measuring the ingredients. In one of the whole-school assemblies, the students were encouraged to reflect on the concept of kindness as a way of sharing love and care. At GIS, we believe any reason is great to inspire positive attitudes and love for learning! The Newspaper club is one of five clubs currently offered at GIS. 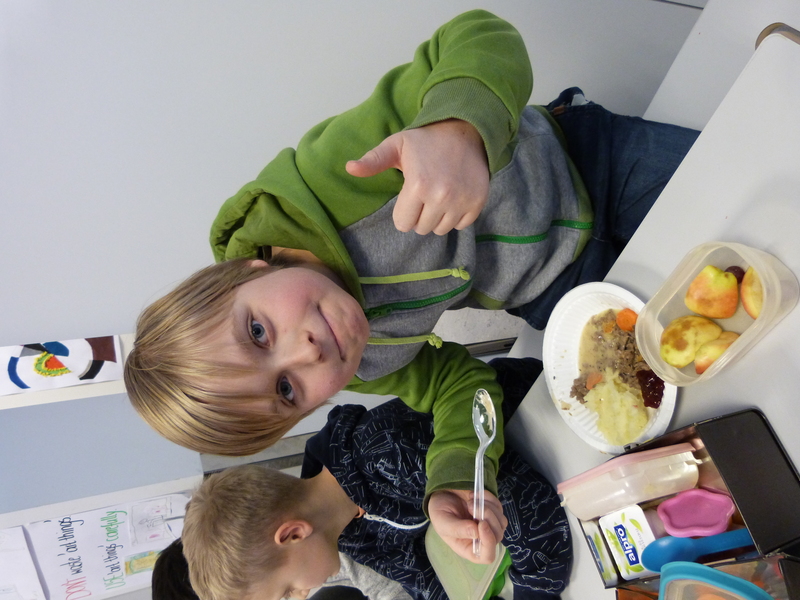 It is open to all students from Grade 3 – 5. 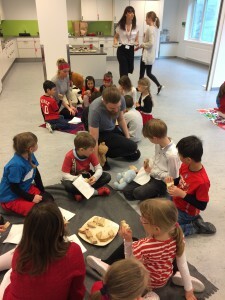 Initially, it was offered to proficient Norwegian speakers but it proved to be so popular that those new to the Norwegian language flocked to the Monday afternoon sessions and are happily contributing their creative skills. The club is an opportunity for participants to experience how a school newspaper is put together through creativity, cooperation and commitment to a joint cause. 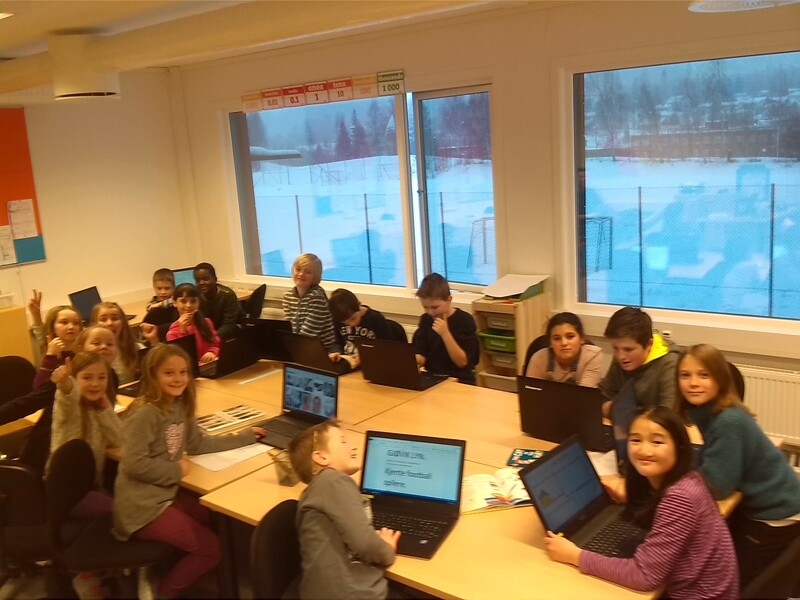 The students are currently working on different sections of the GIS Newspaper, which is going to be a newspaper for children by children. 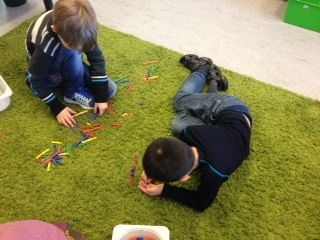 During this unit, we have begun to focus on developing our ability to work cooperatively and work as a team. 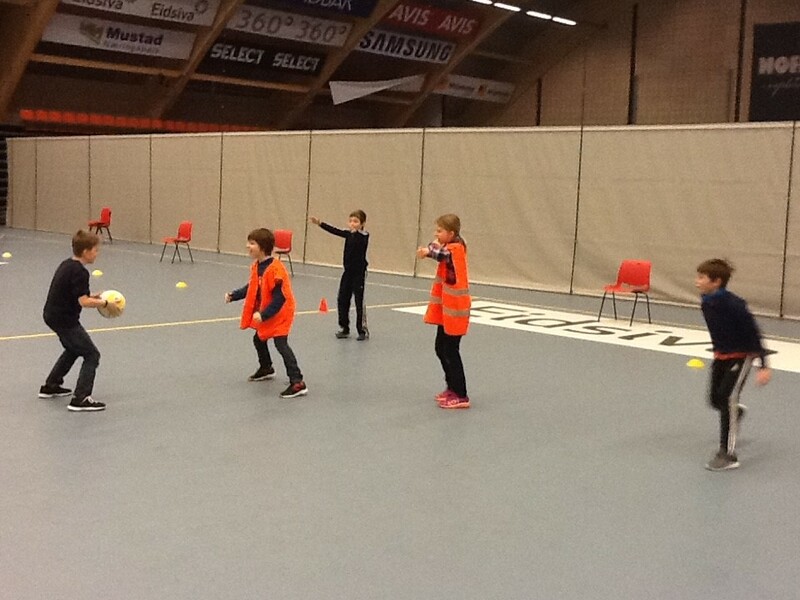 We have been developing this by playing a game called Bench Ball. 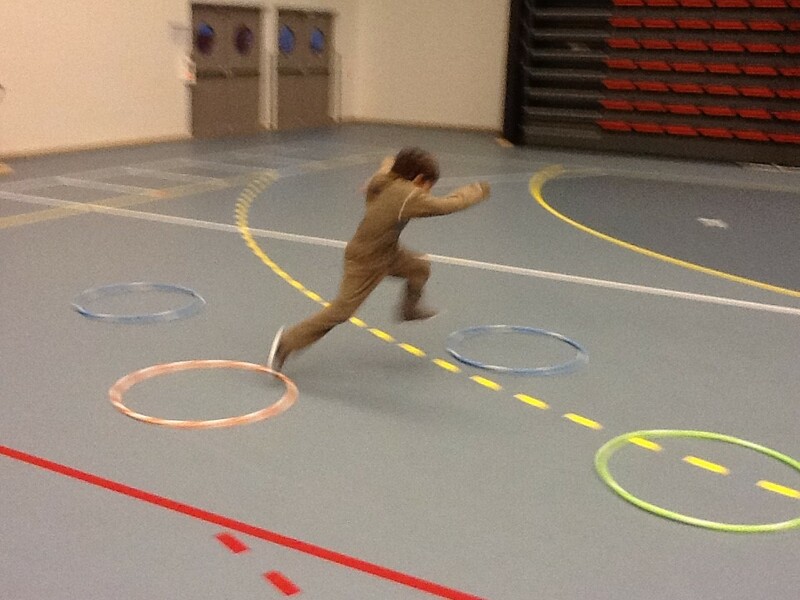 The 1st and 2nd graders continue to develop their movement abilities as they play Dinosaurs Growing Up, as shown below. This is the scientific unit and the 1st and 2nd graders have inspired us to start inquiring into how the dinosaurs might have moved and if we could replicate that movement. 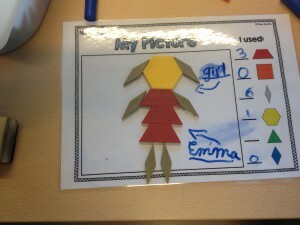 We have been looking at how we balance our weight. However, some movements are hard without a tail to keep us balanced! 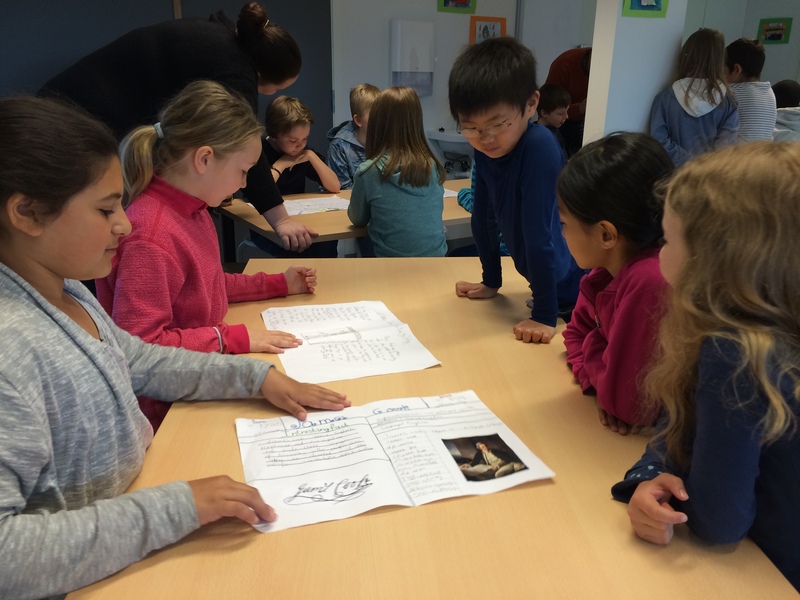 The 3rd, 4th and 5th graders have taken what they have learned about a scientist’s keen attention to observation and focused that on independently ascertaining how to best recreate movements of different types of animals. We are having a great time and look forward to learning more about teamwork and inquiring into biomechanics. 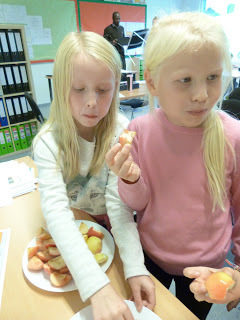 This week Grade 1 and 2 continued to learn about life cycles. We looked at the life cycle of the frog in particular and learned the vocabulary associated with it. In maths, we continued with our study of subtraction and began to make correlations with our addition unit. 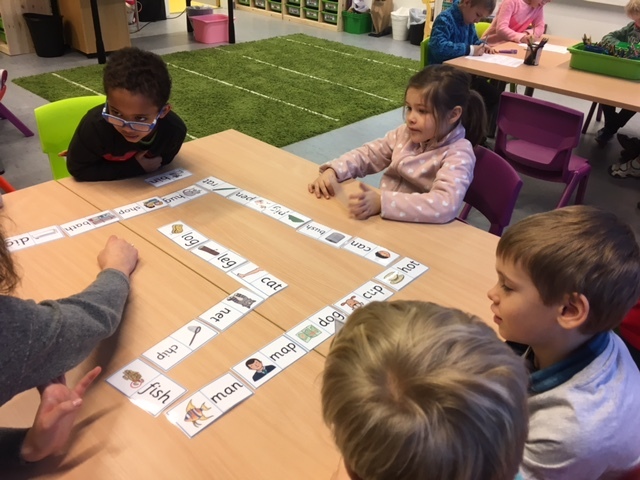 In literacy, we learned about TH words and how to spell words using those sounds. Next week, we are looking forward to moving on to our next line of inquiry which involves learning about the life cycle of dinosaurs. This is a much anticipated part of our unit and we are looking forward to jumping into it with both feet. 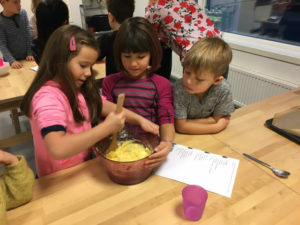 One of the most prominent features of the PYP is the transdisciplinary connections between various curriculum areas. The current units of inquiry in Grades 3, 4 and 5 serve as a prime example of how such links facilitate students’ learning. During unit sessions, Grade 5 have been inquiring about energy. They have already understood that energy comes from a variety of sources and exists in different forms, and that it is needed to do anything you want to do. To share their new understanding in the whole-school assembly next week, the students will be rapping their lines about energy to the strong beat of I’ve Got the Power. In Mathematics, the students have been investigating about measurement tools, units and systems. 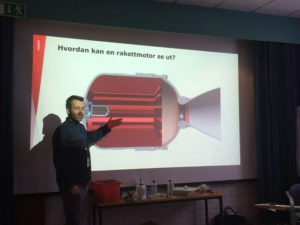 They are going to measure various properties of objects around them, including energy-related properties, such as speed. 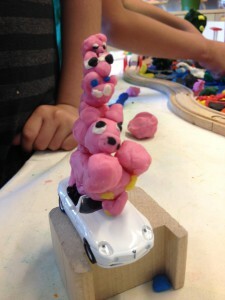 In Art lessons, they have been experimenting with various materials to construct moving sculptures. This inquiry aims to help the students explore Kinetic Art as well as apply their understanding about energy and experiments in a creative context. In all these activities, the students are encouraged to develop their communication skills through using different modes of presentation as well as their social skills by carrying out numerous group tasks. Authentic links between different subject areas have the power to make students curious observers of the world around them and knowledgeable experts in whatever it is that they are inquiring about. Let’s hope that GIS students will continue to benefit from the powerful connections established in their units! 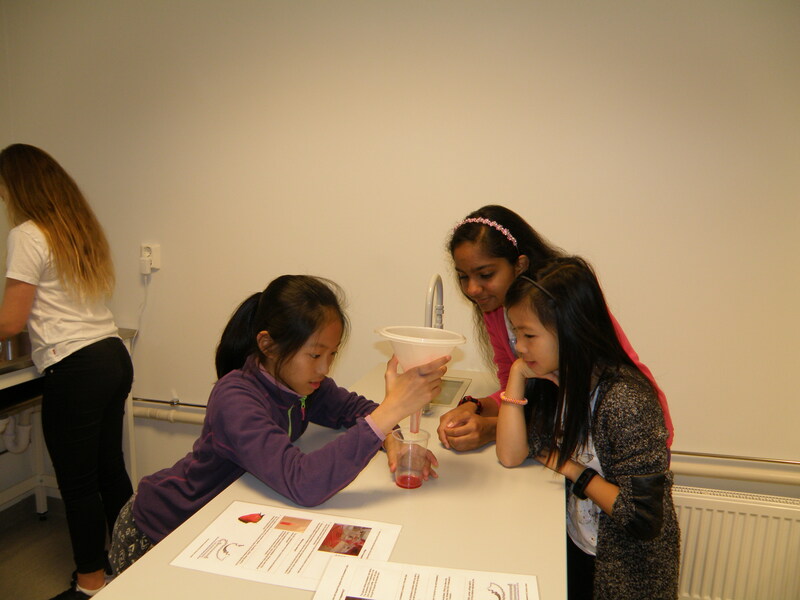 Jiahui, Advaita and Linnea demonstrate perfect filtration. Ice-cold ethanol causes the DNA to precipitate. 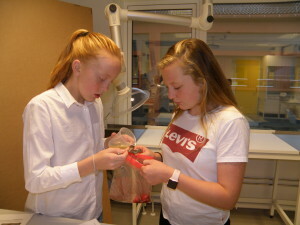 Jaihui, Advaita and Linnea demonstrate perfect filtration.